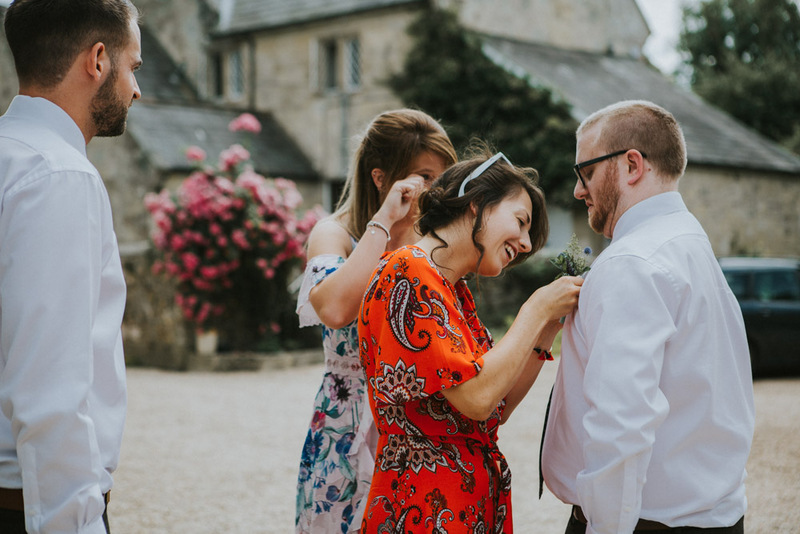 Getting to be part of a couples wedding journey is a pretty indescribable feeling, I mean it’s pretty damn special. 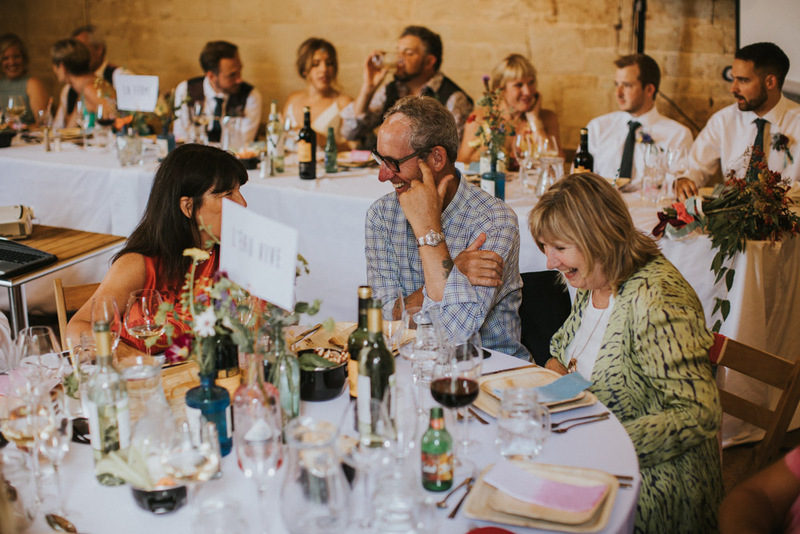 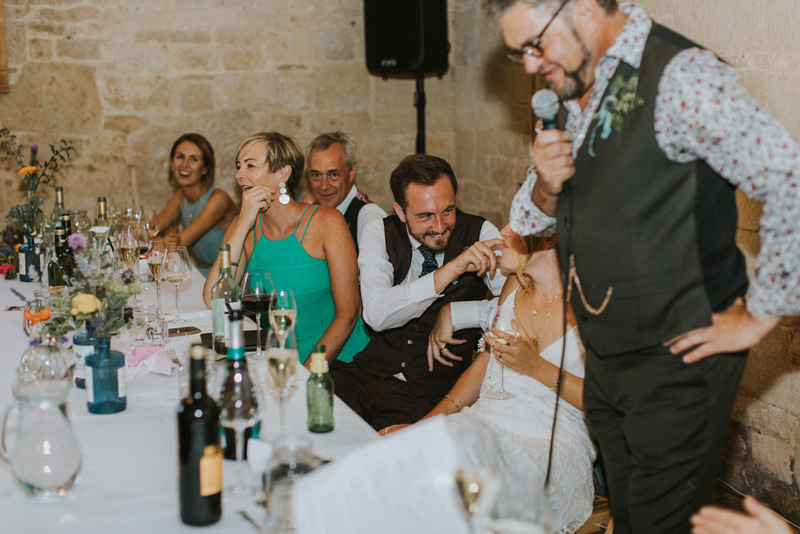 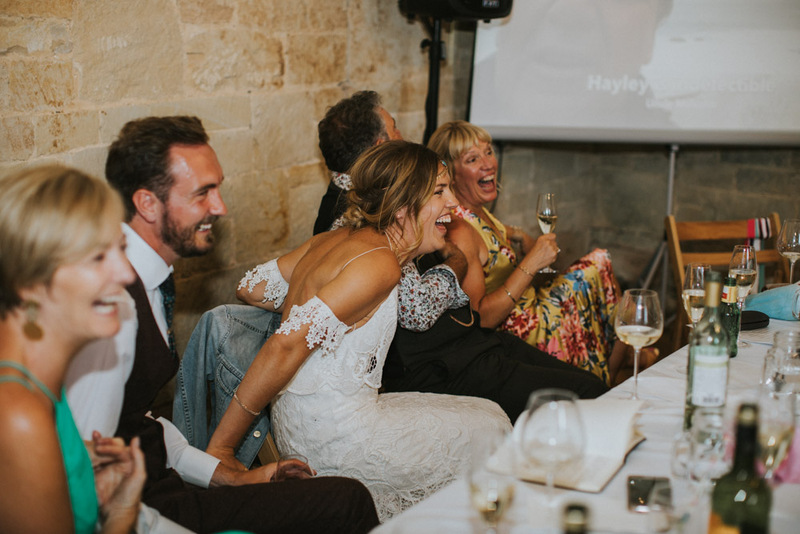 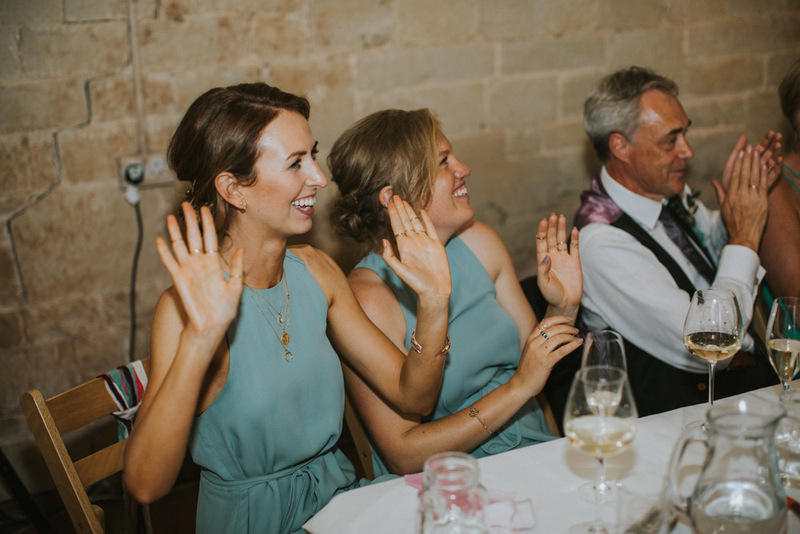 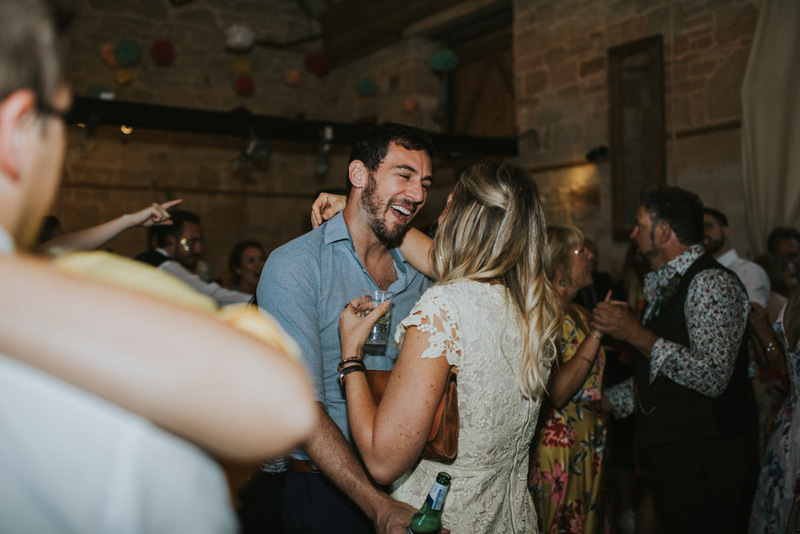 And when you come across a rare couple like Hayley & Sam who are basically “fun” encapsulated, whatever the method, then you know that you’ve got a pretty amazing wedding story on your hands. 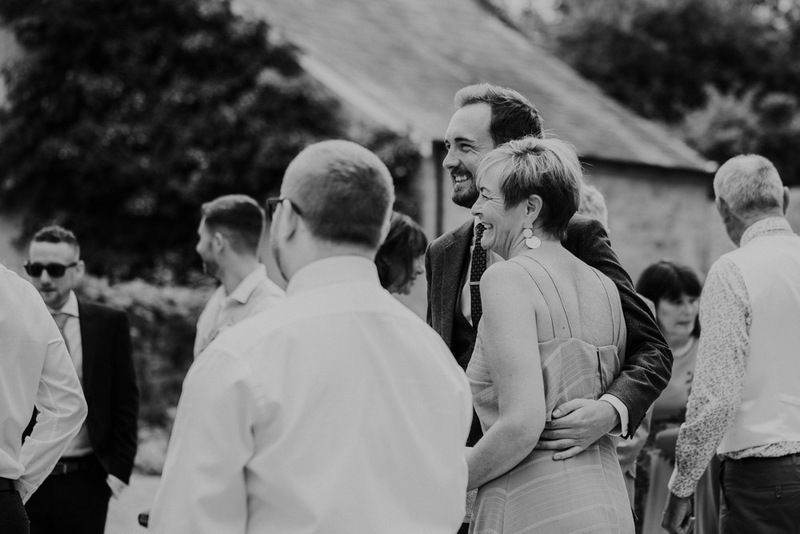 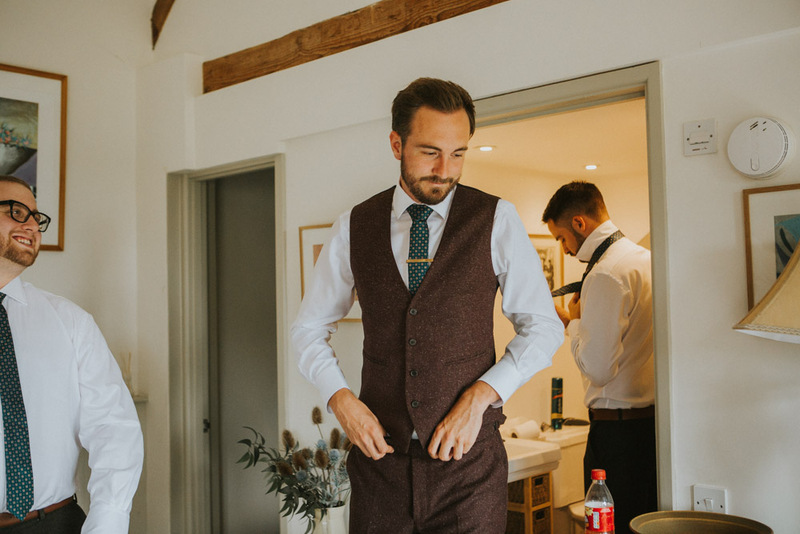 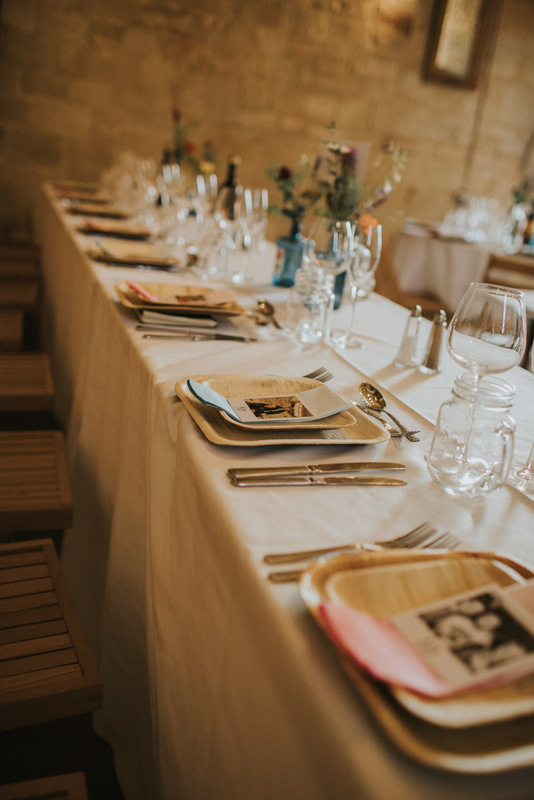 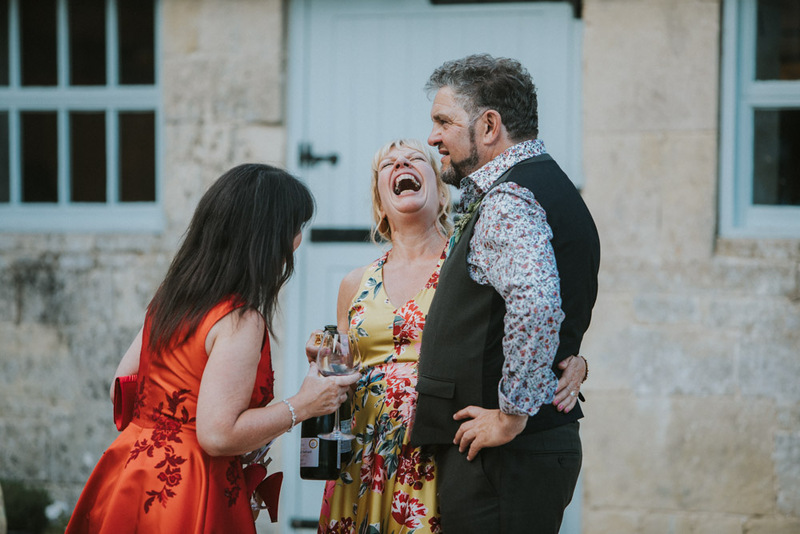 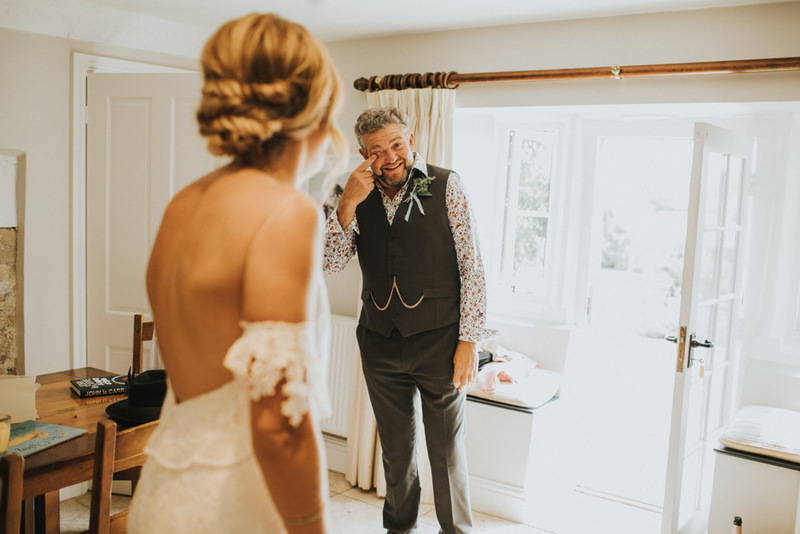 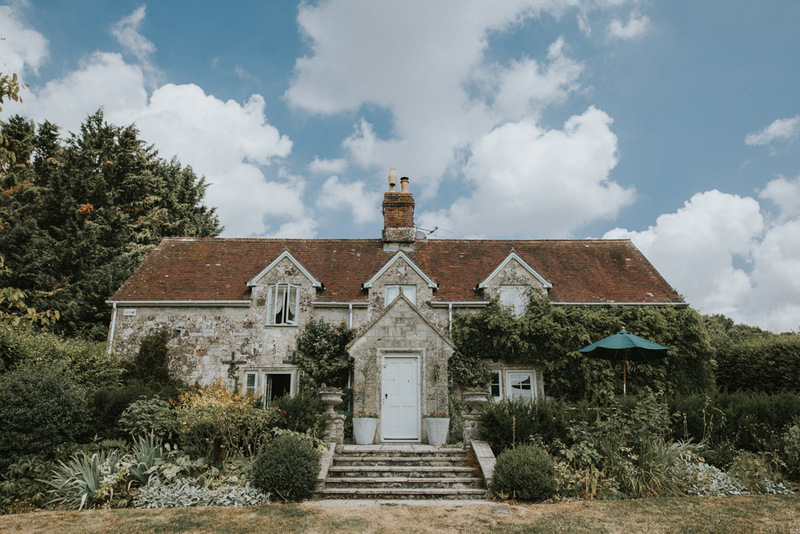 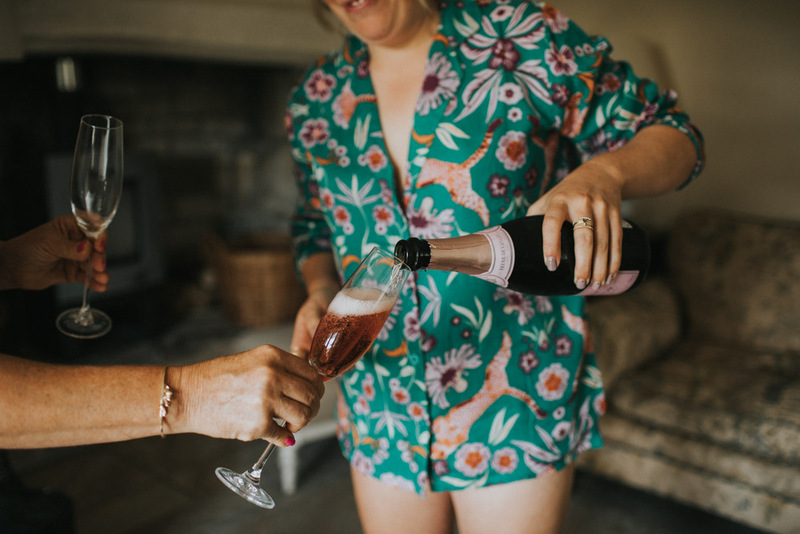 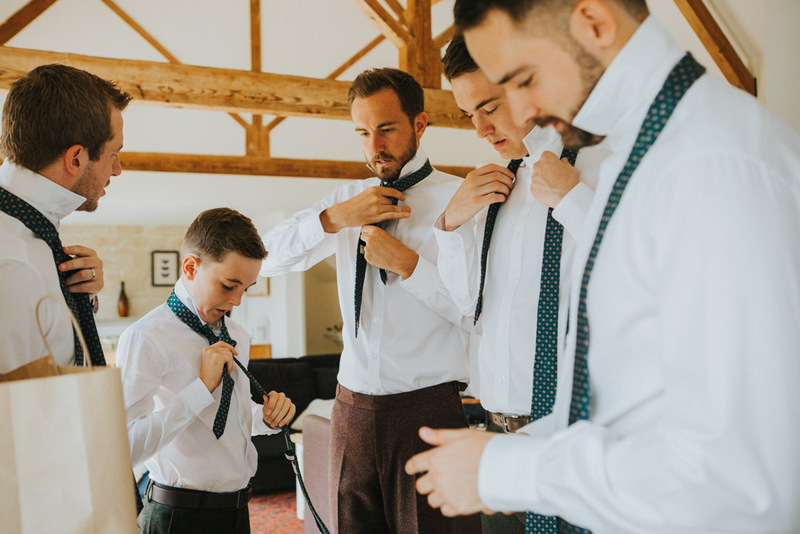 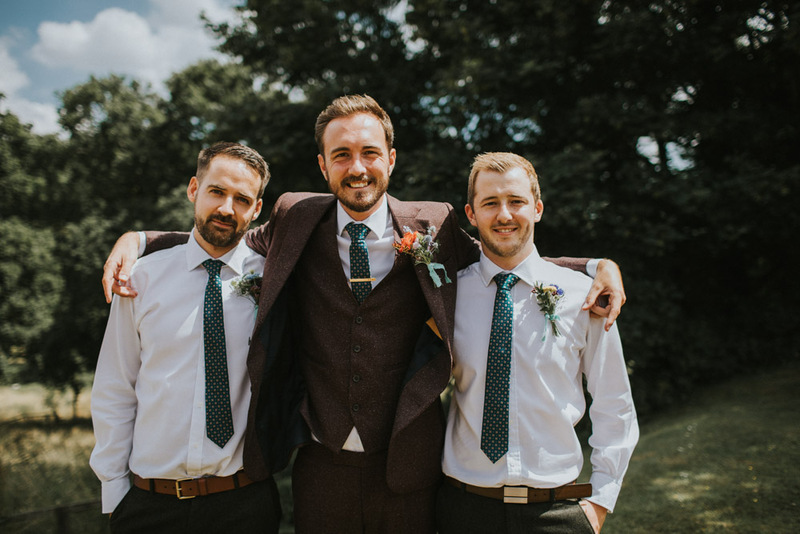 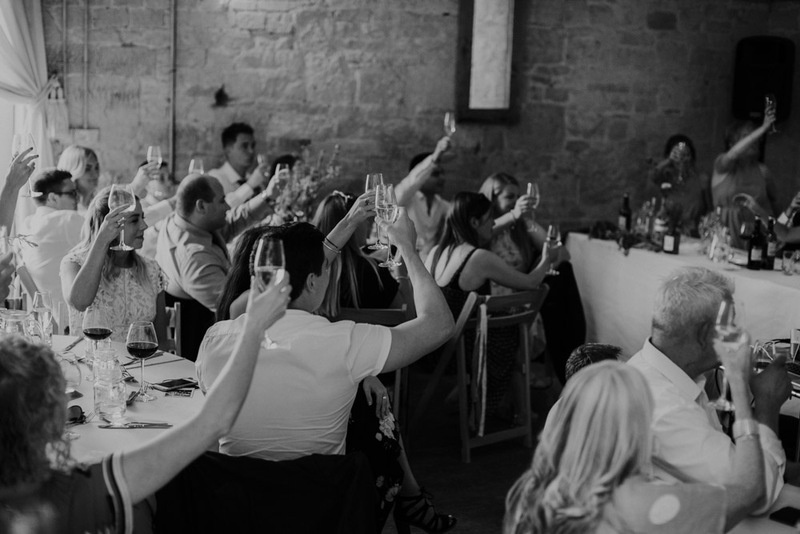 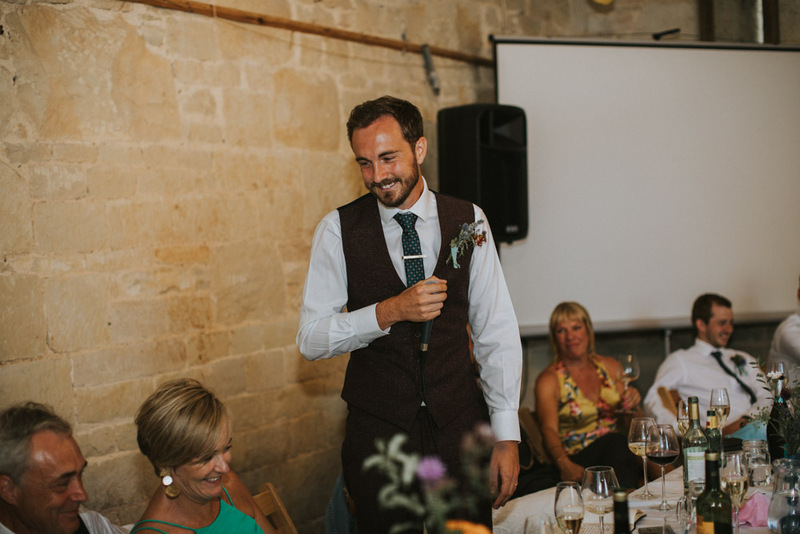 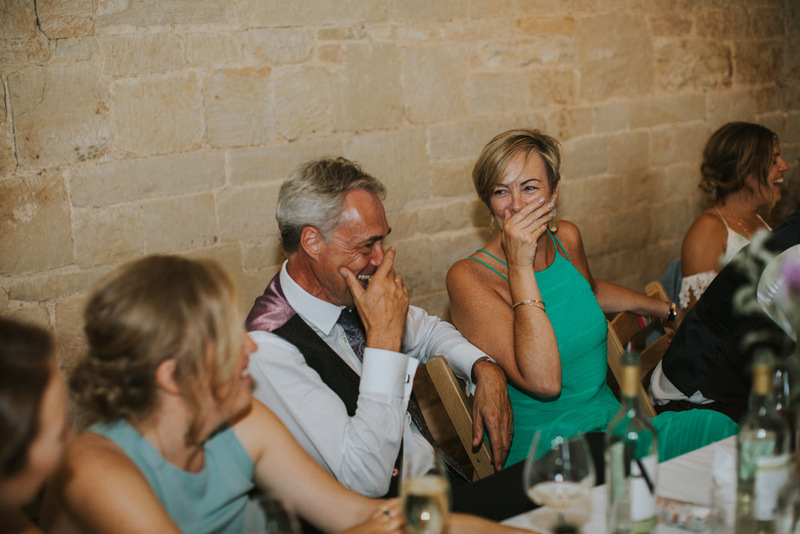 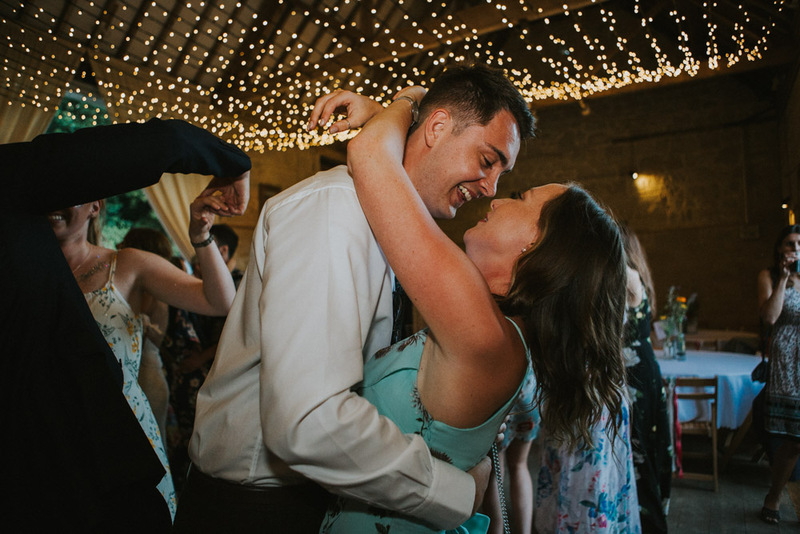 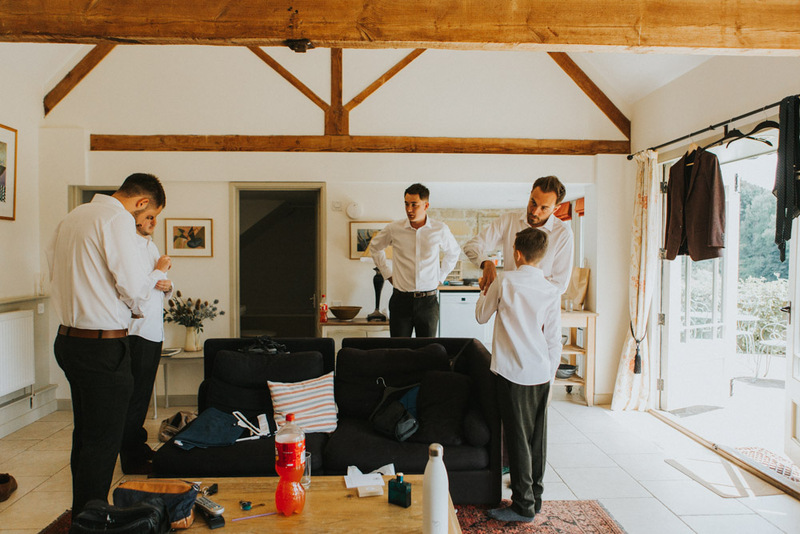 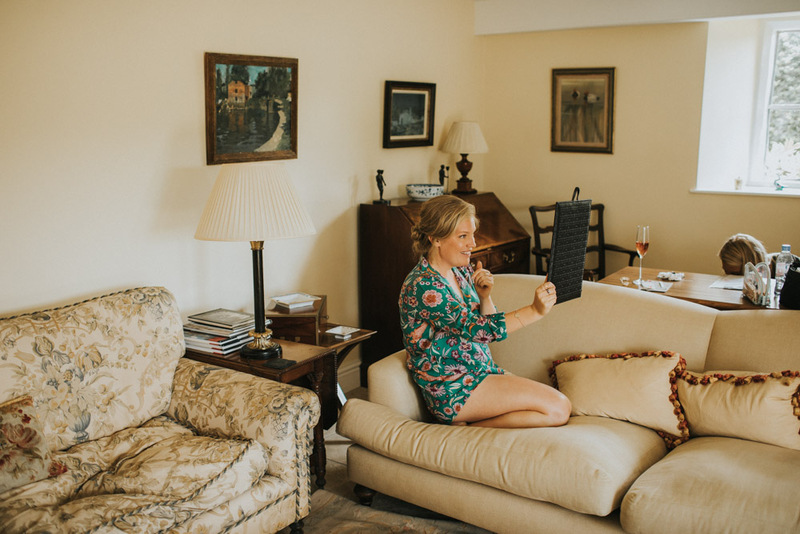 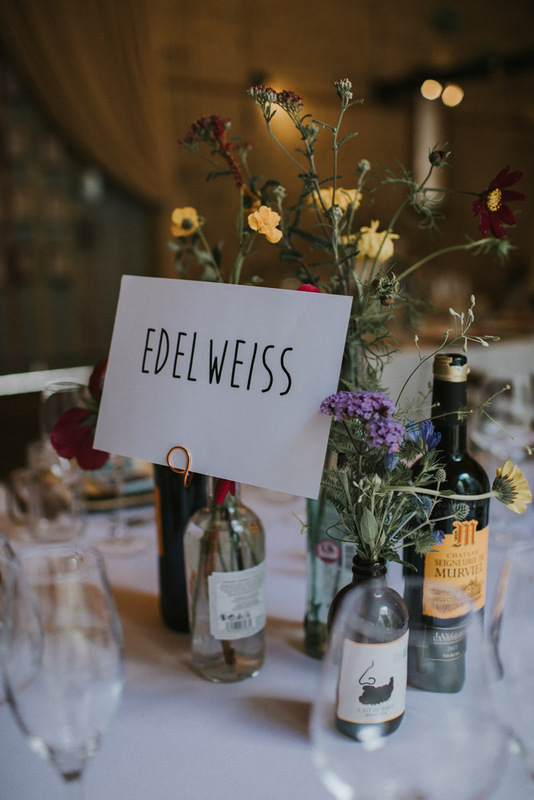 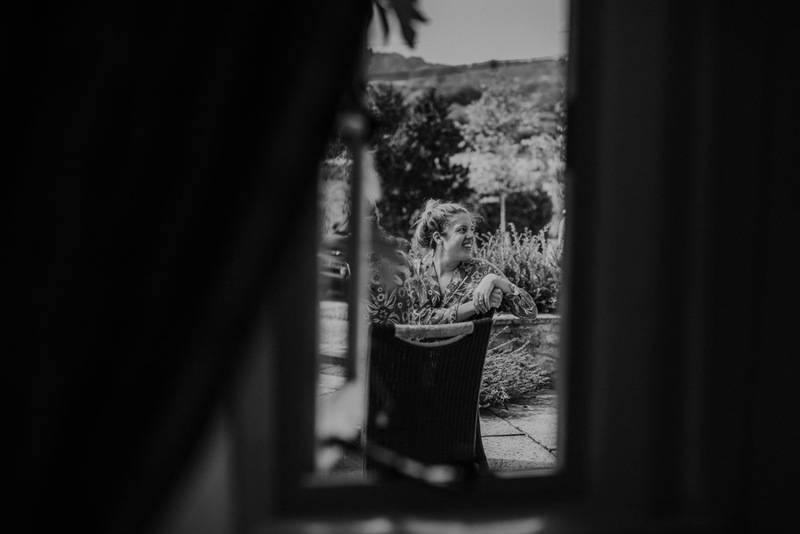 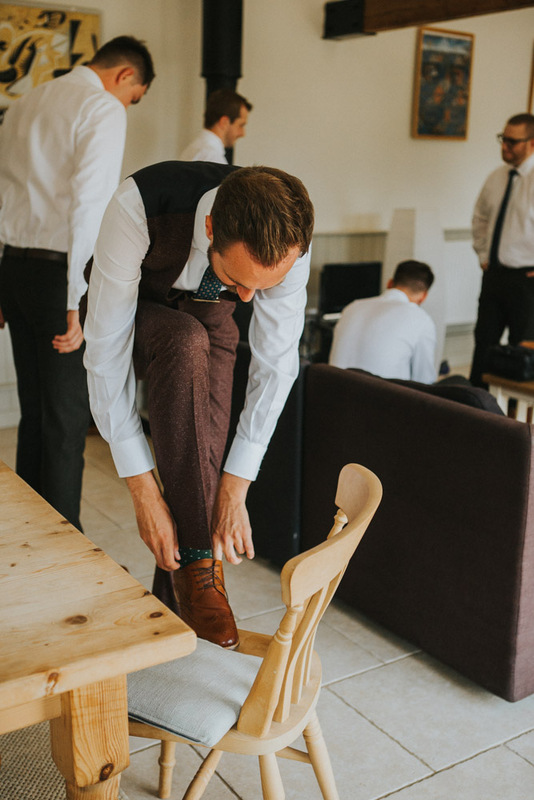 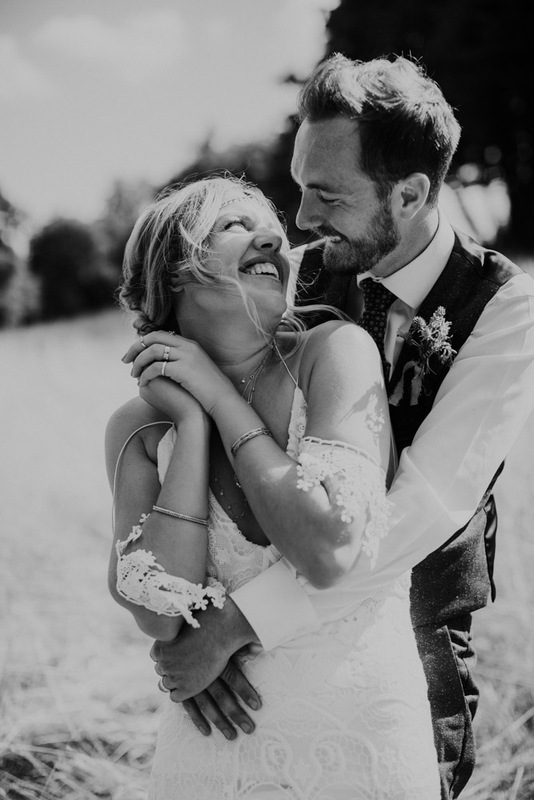 A wedding that took me away from Kent and into the heart of the Dorset countryside and trust me, I knew from the moment they got in touch way over a year ago, that I was in for one heck of a treat, and my word, that couldn’t have been more true! 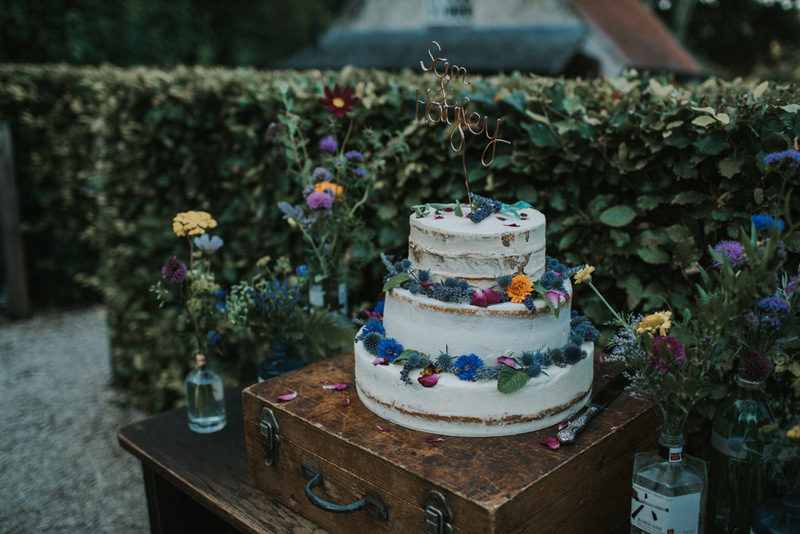 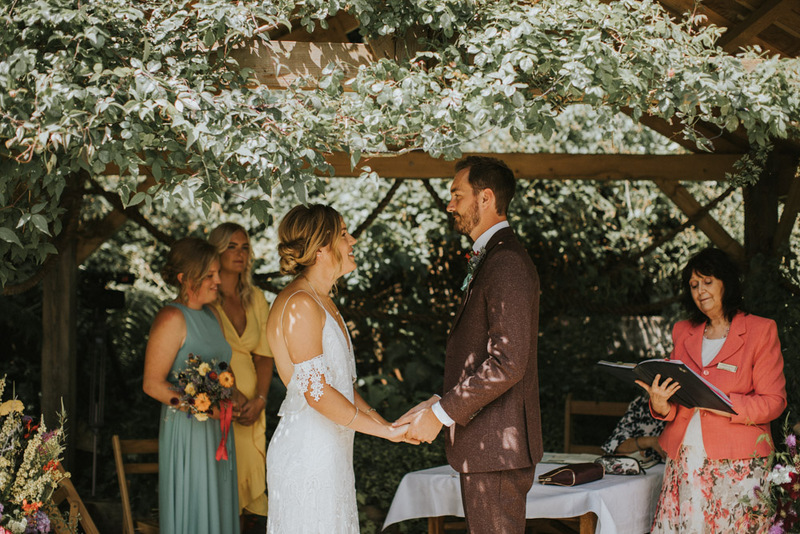 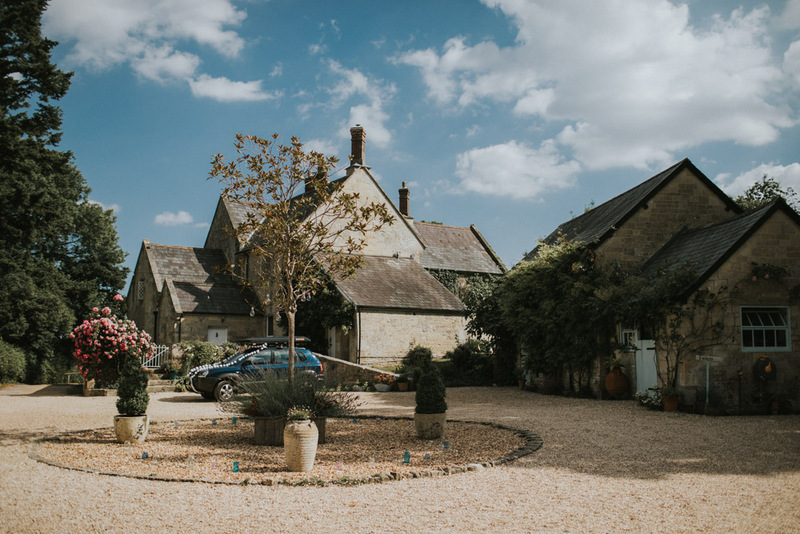 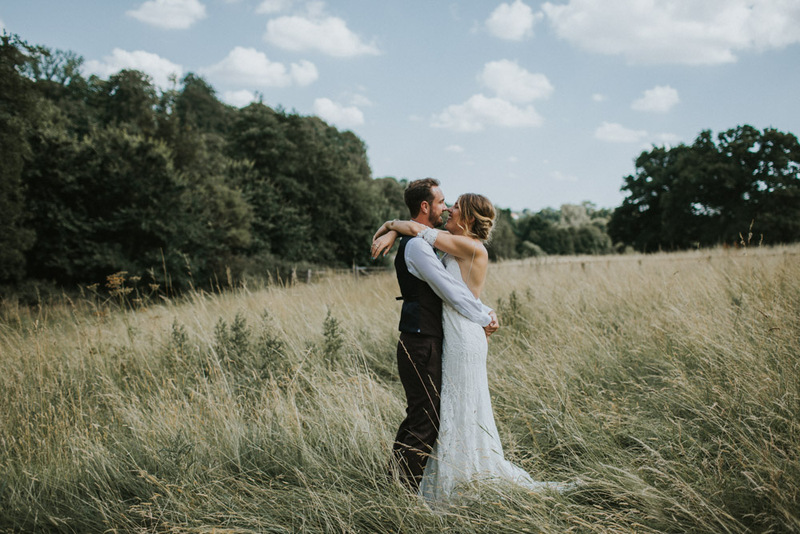 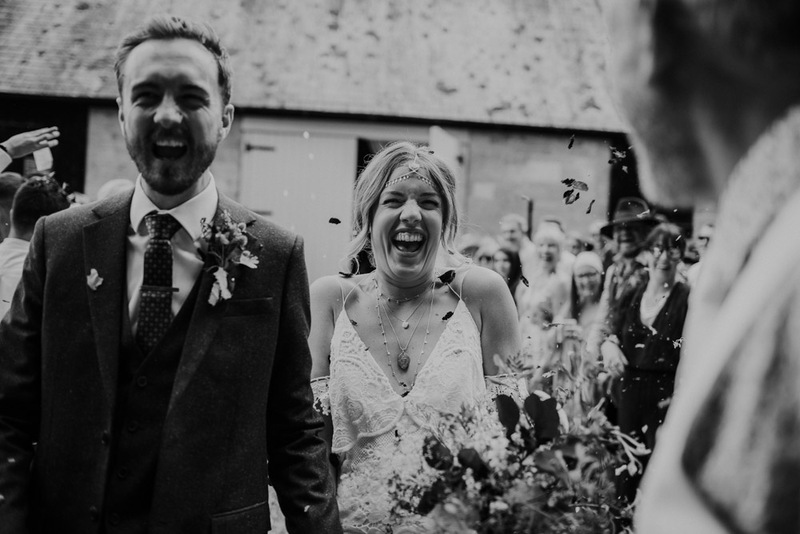 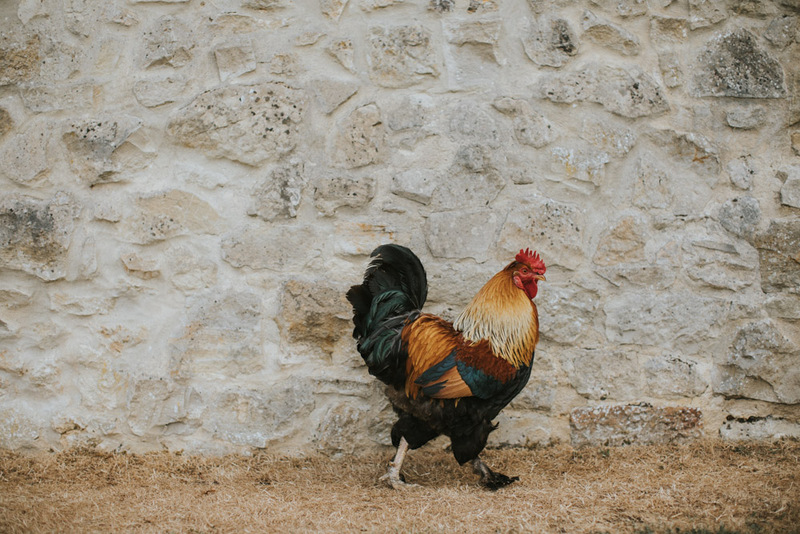 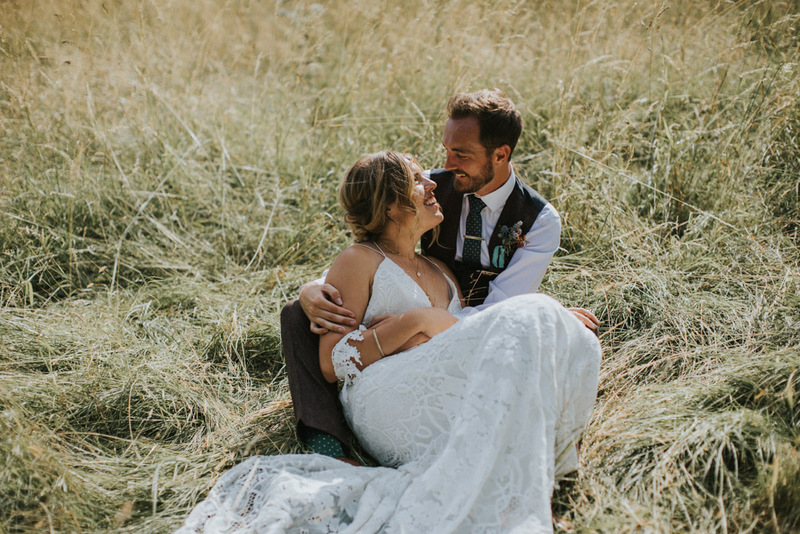 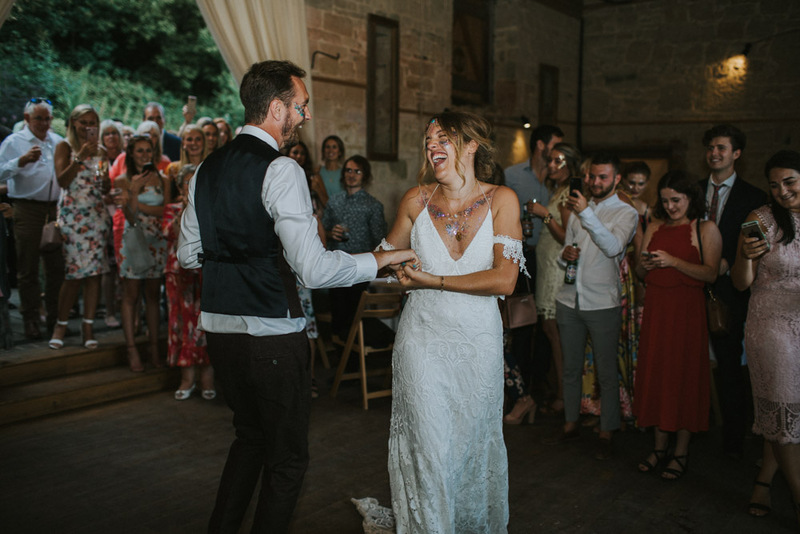 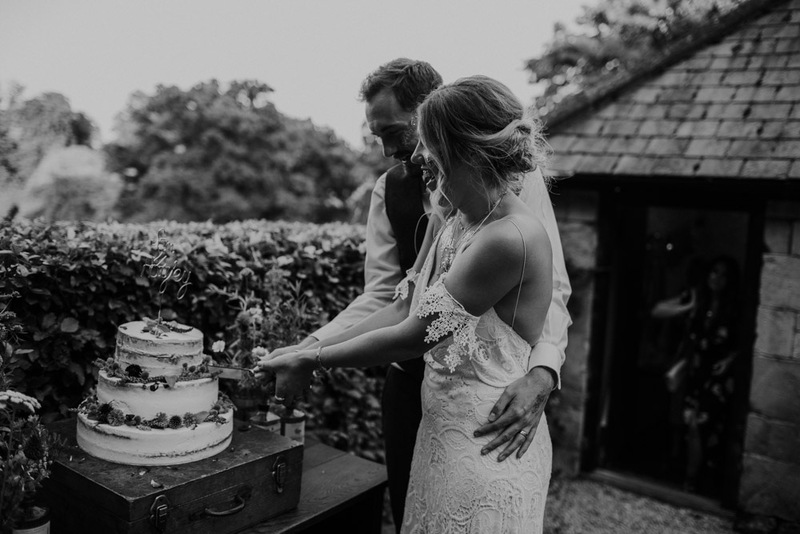 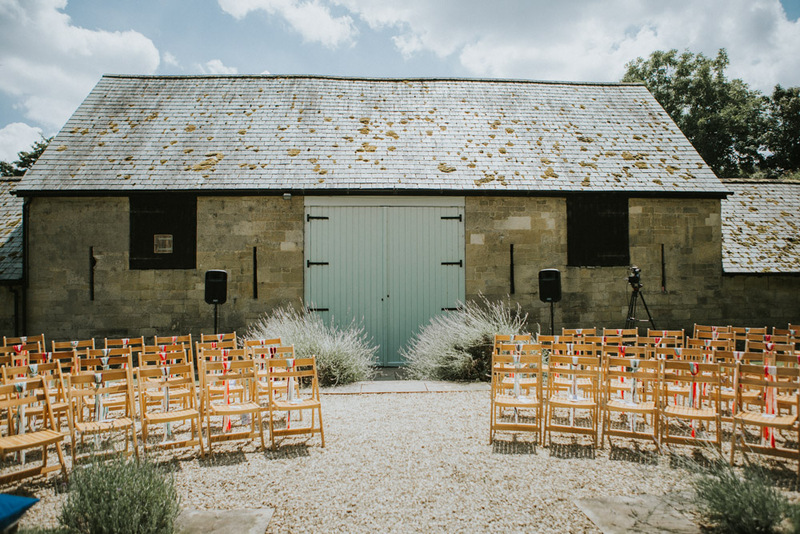 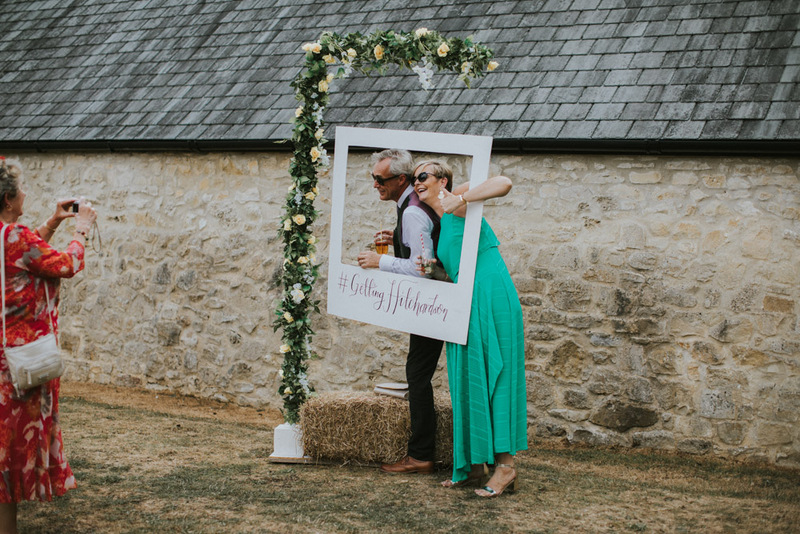 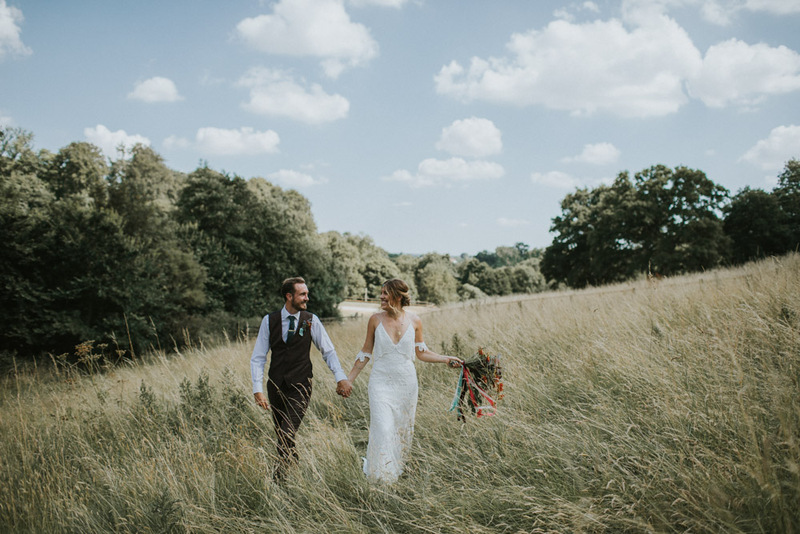 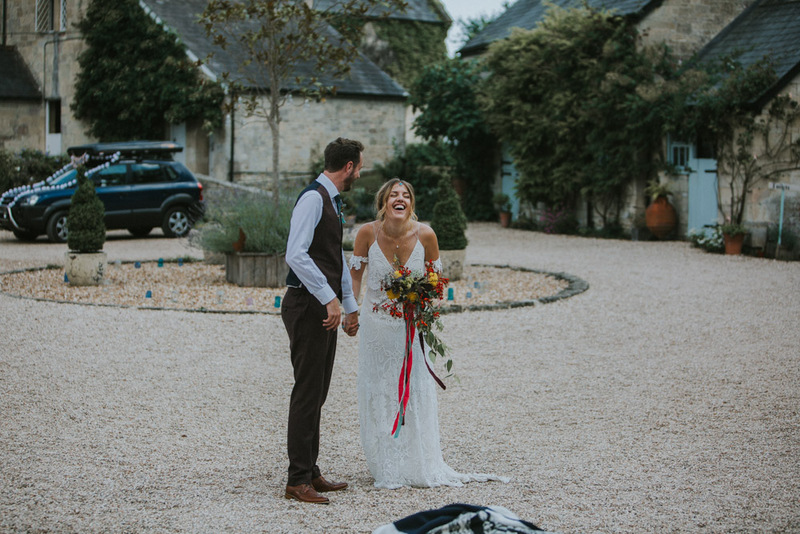 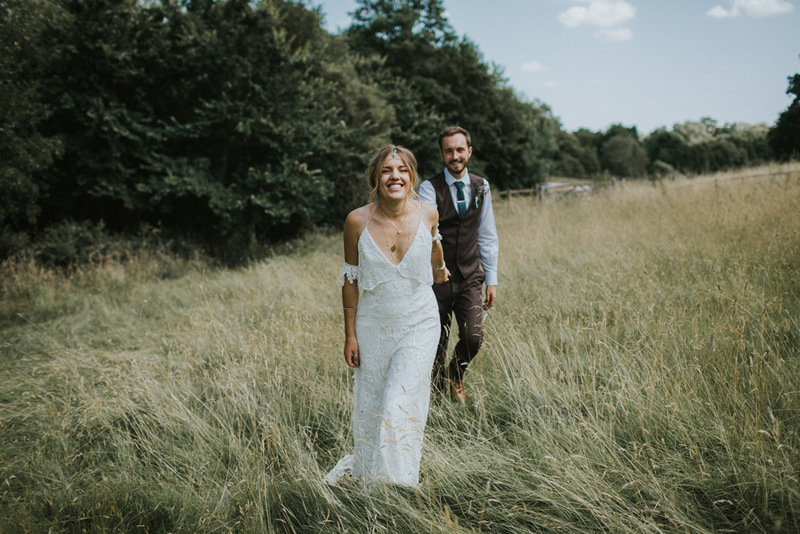 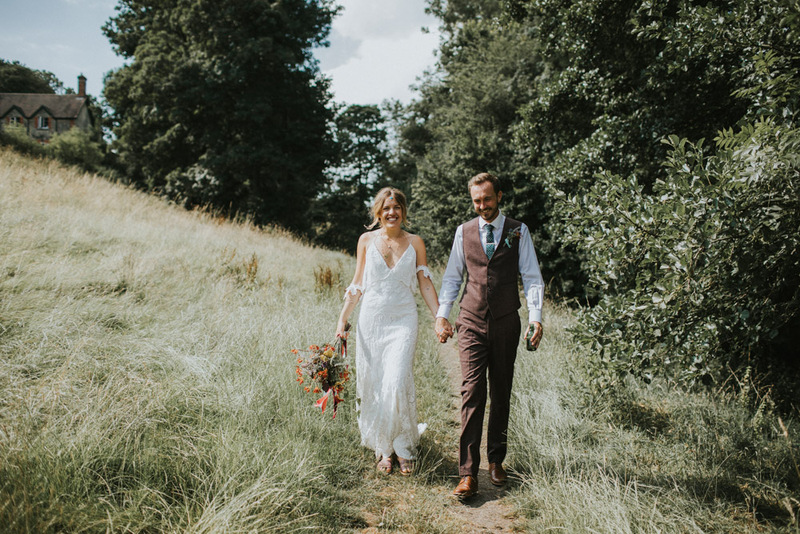 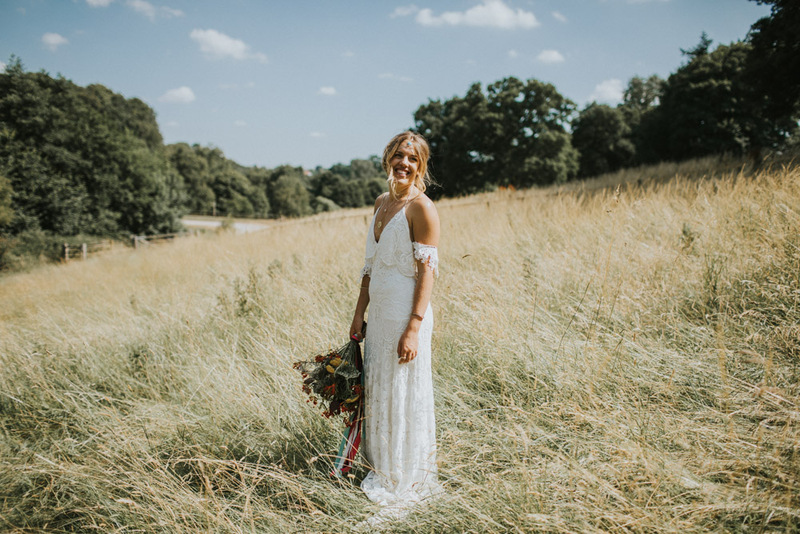 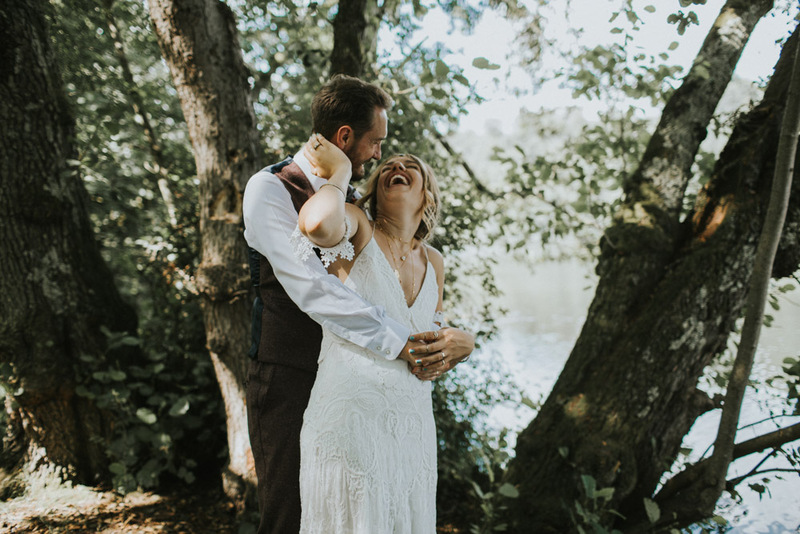 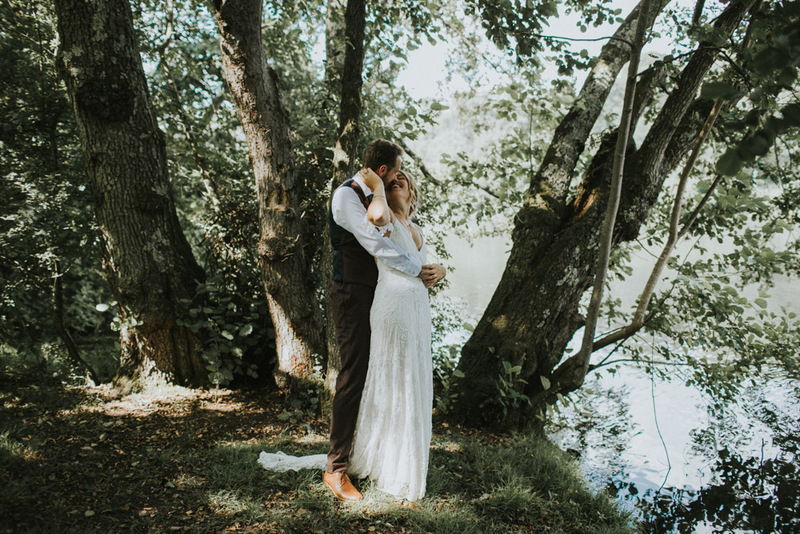 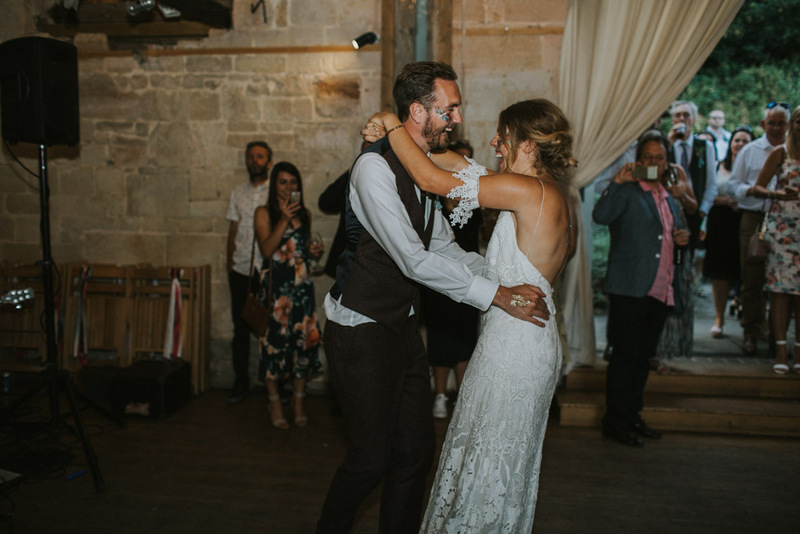 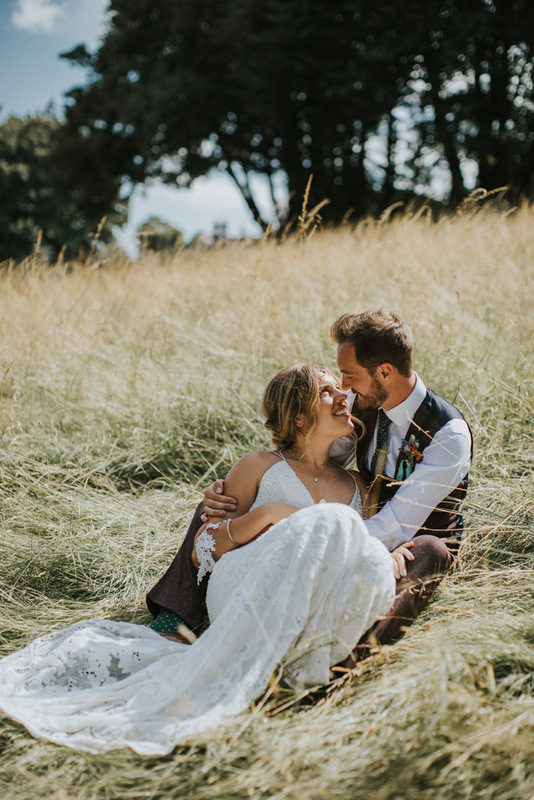 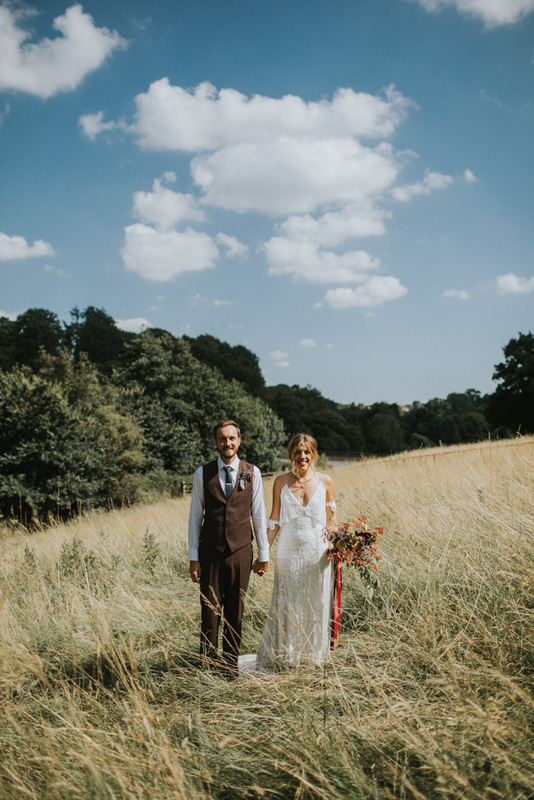 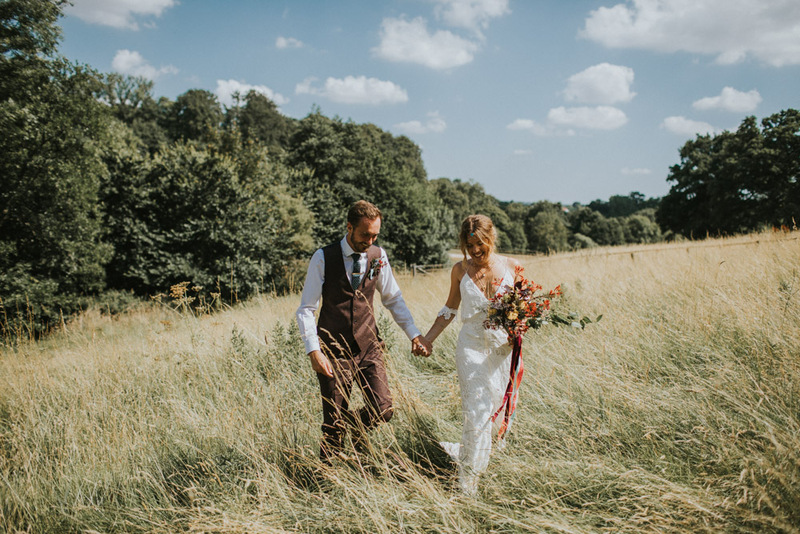 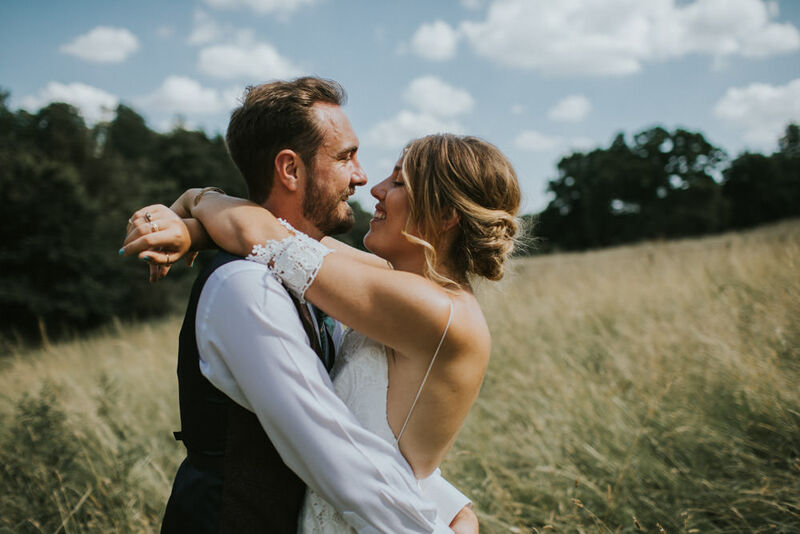 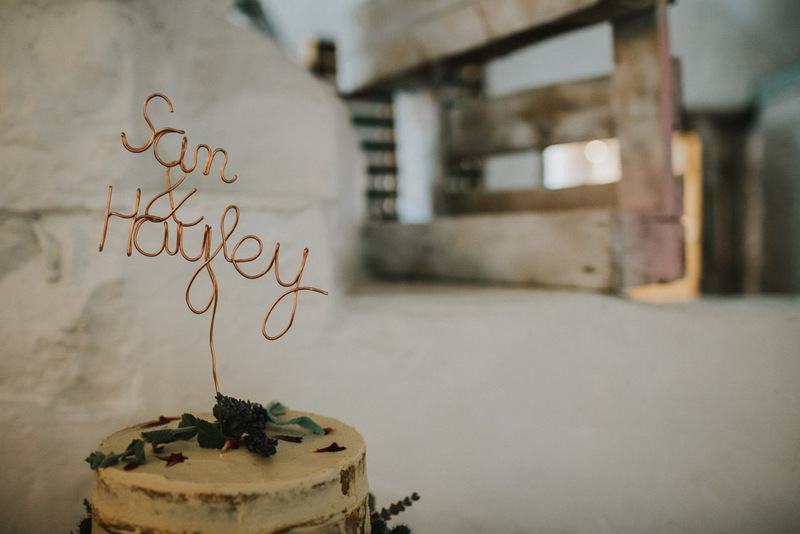 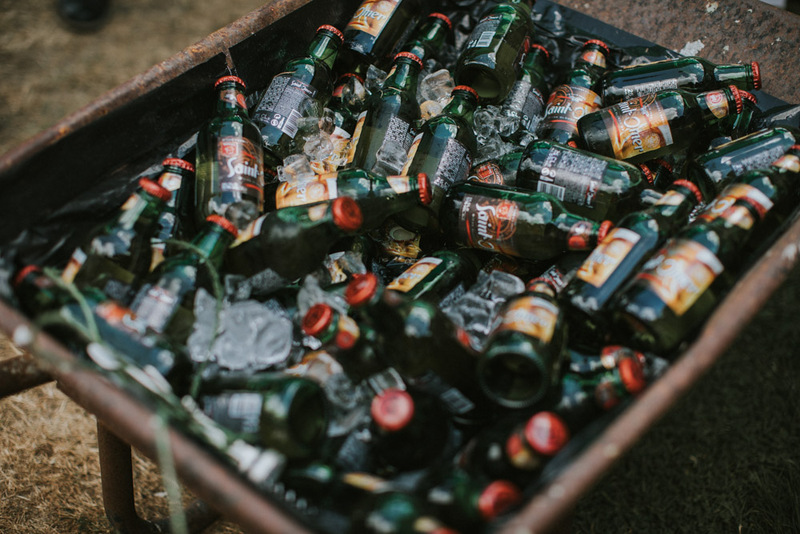 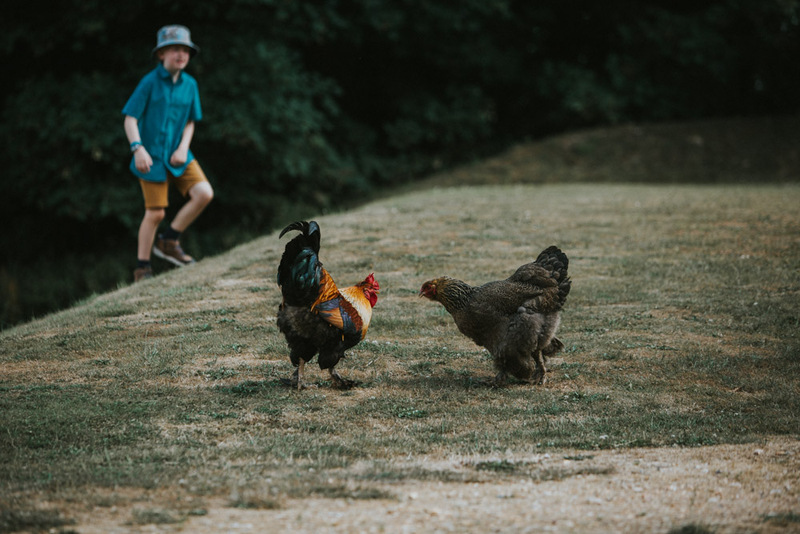 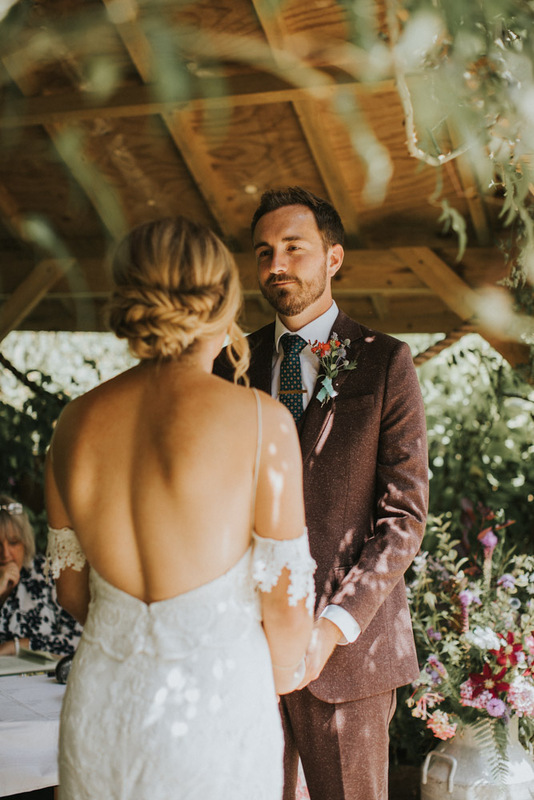 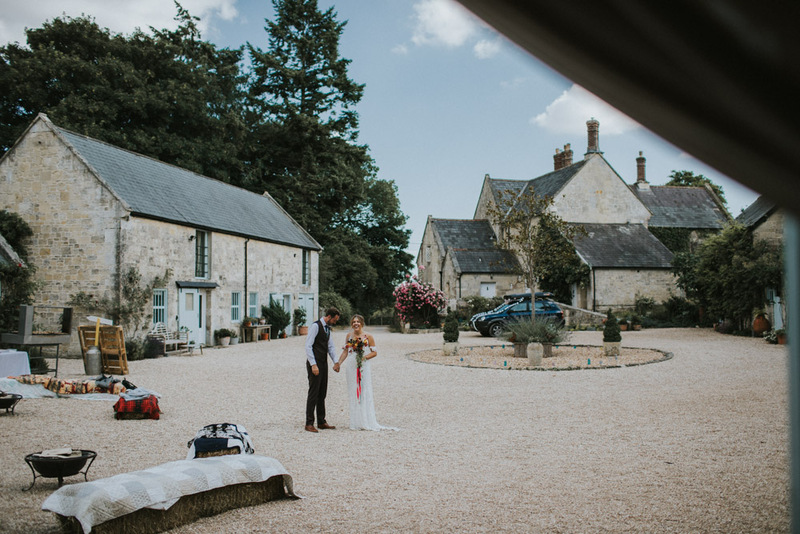 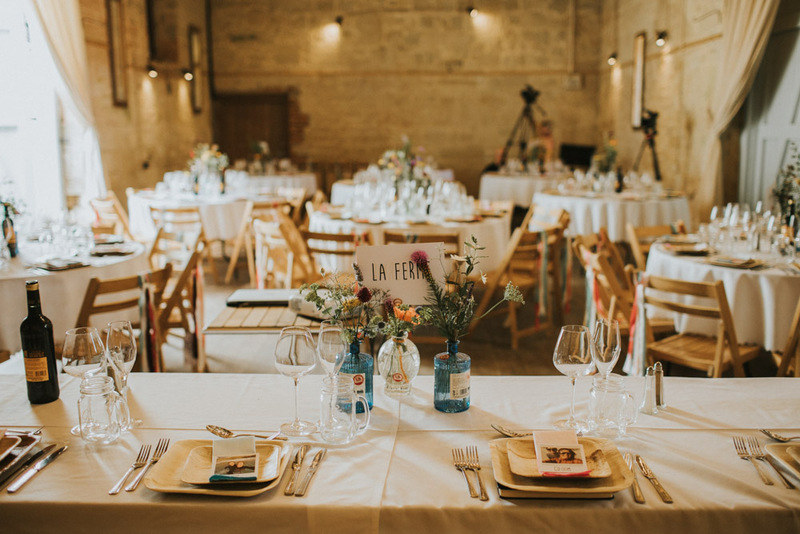 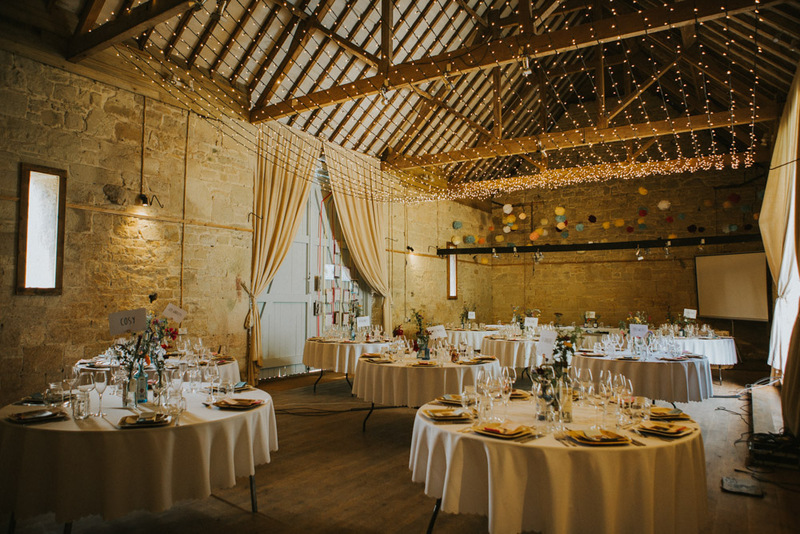 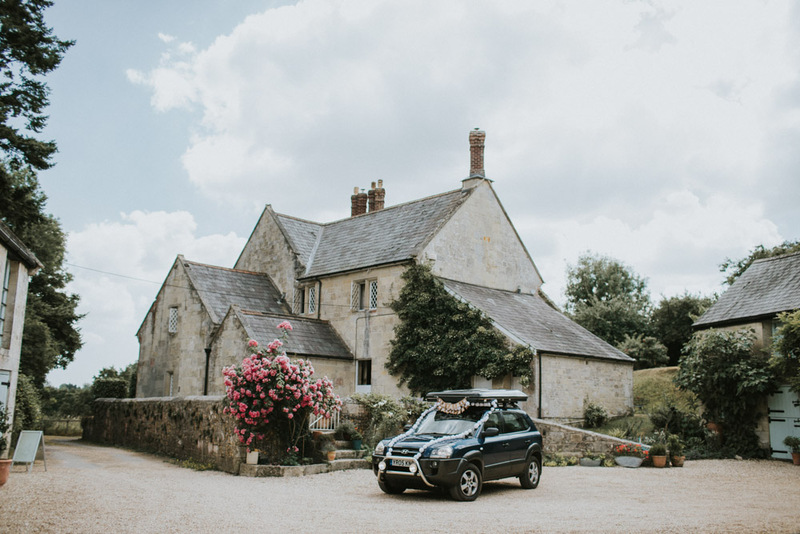 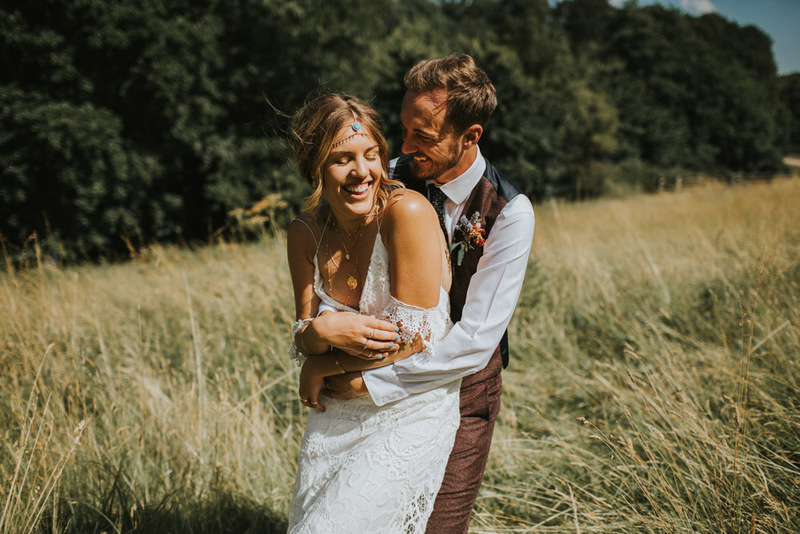 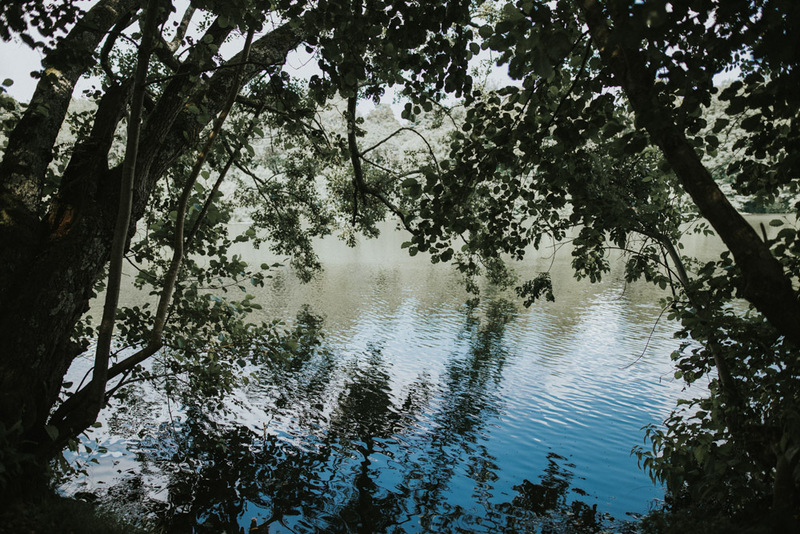 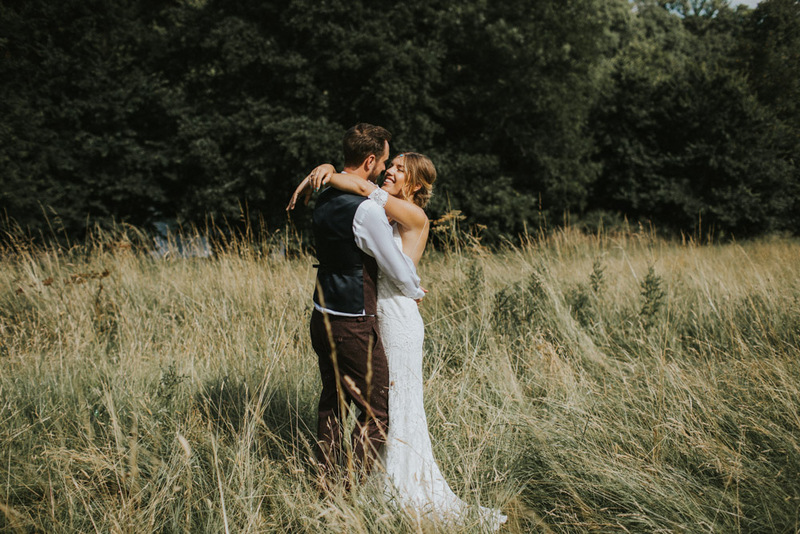 Hayley & Sam had both chosen a gorgeous rustic farm located amongst jaw-dropping wild meadows, really giving their wedding, that boho wedding look they were after. 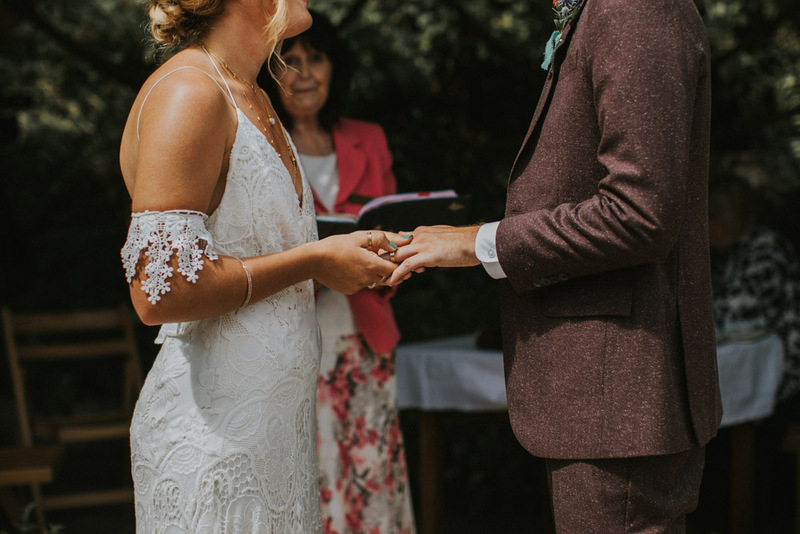 So many intricate personal details making the day totally unique, and truly theirs. 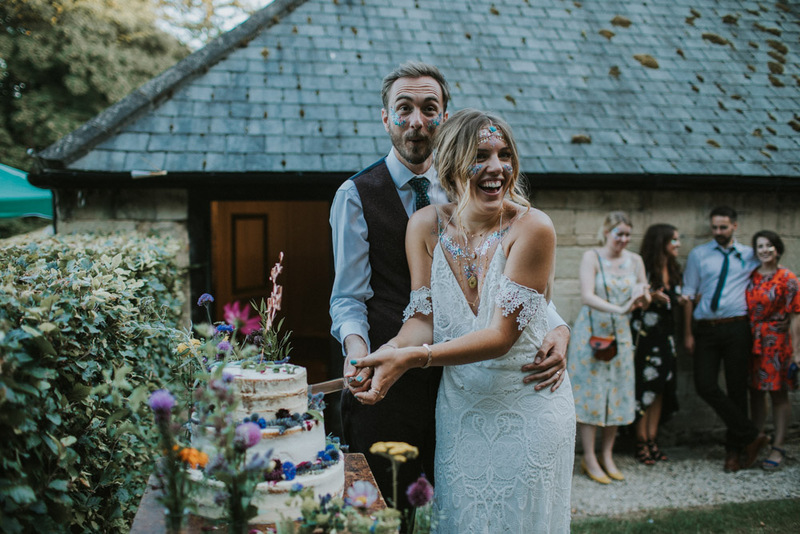 And with Sam & Hayley both being totally free kindred spirits, something which I personally couldn’t love more, it meant that not only did a have one unique wedding, but also one serious party on our hands! 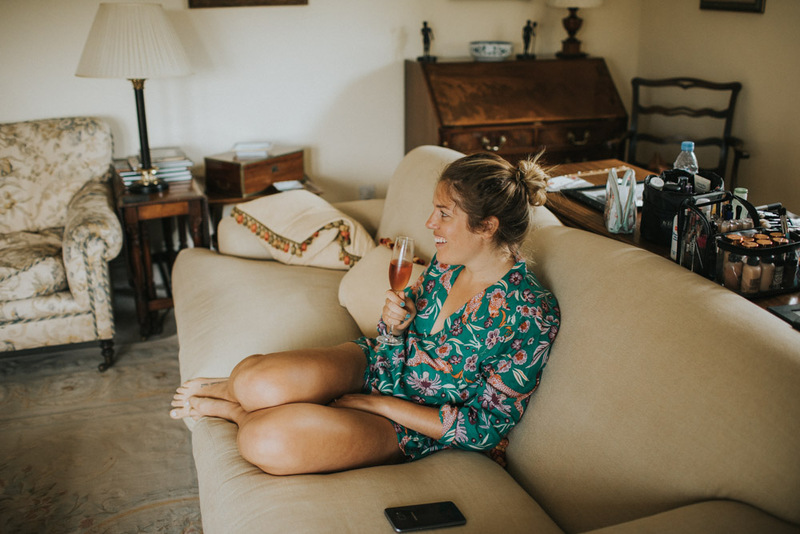 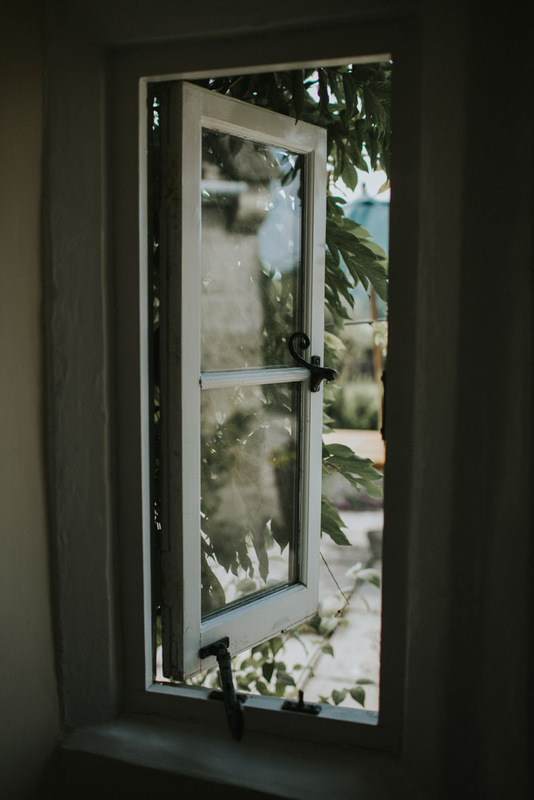 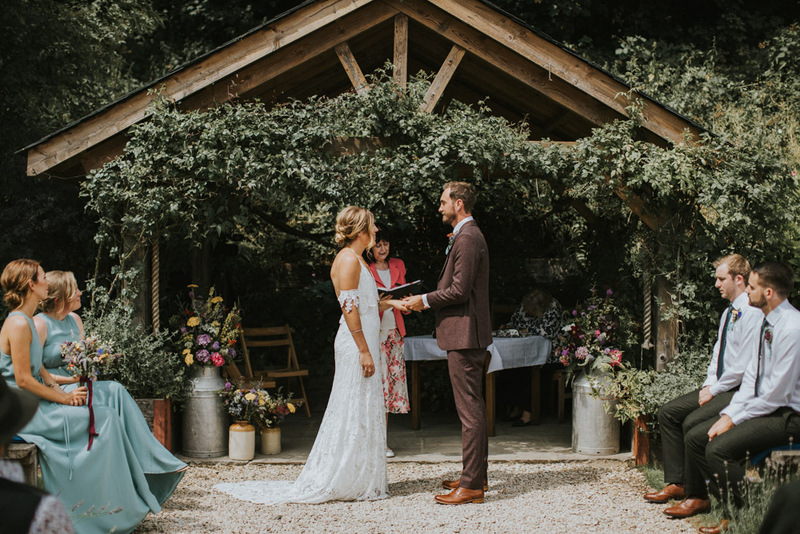 The day itself actually began located in a little cottage airbnb, which Hayleys family were hiring out just a short drive away from the venue. 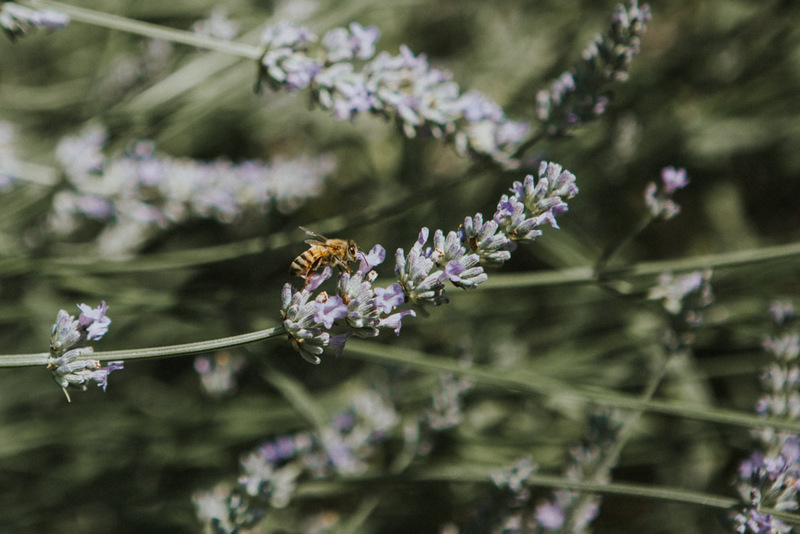 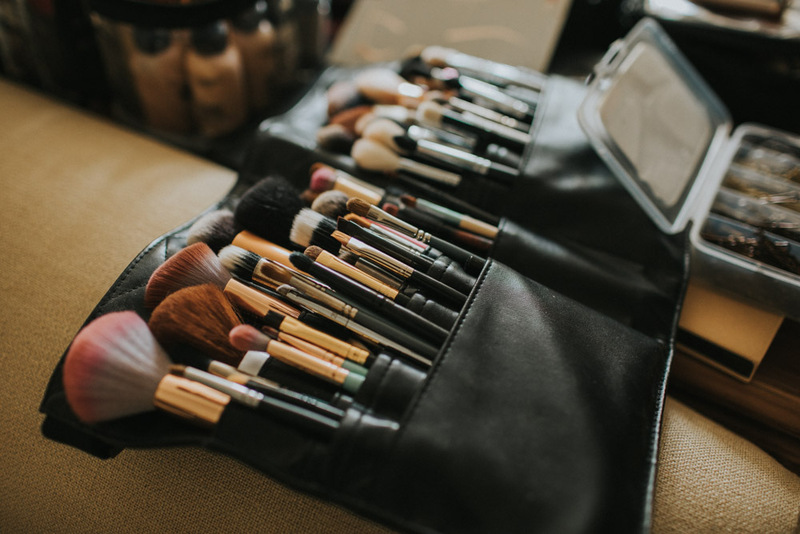 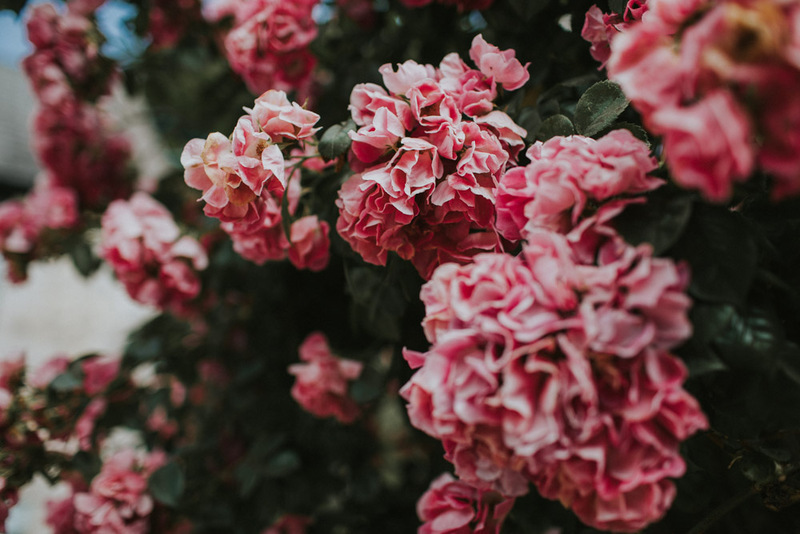 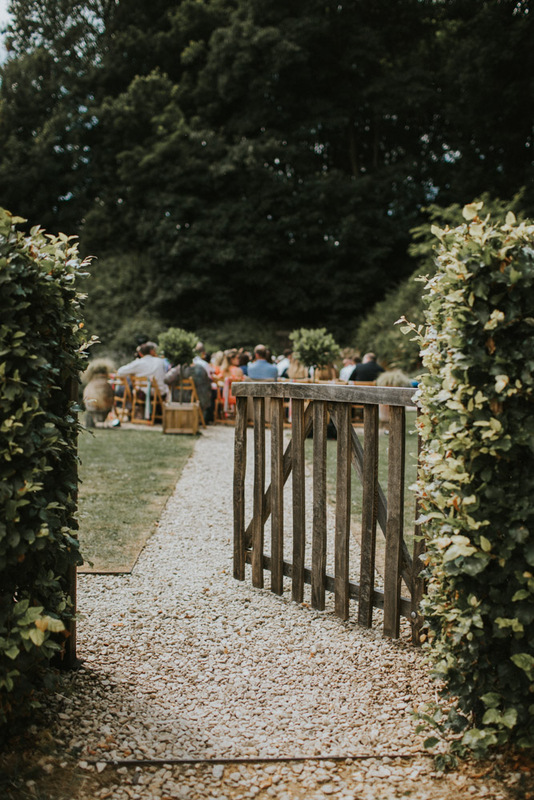 With its own gorgeous gardens and space to relax, it meant the getting ready part of the day was unbelievably laid back, setting the scene for day of summer celebrating. 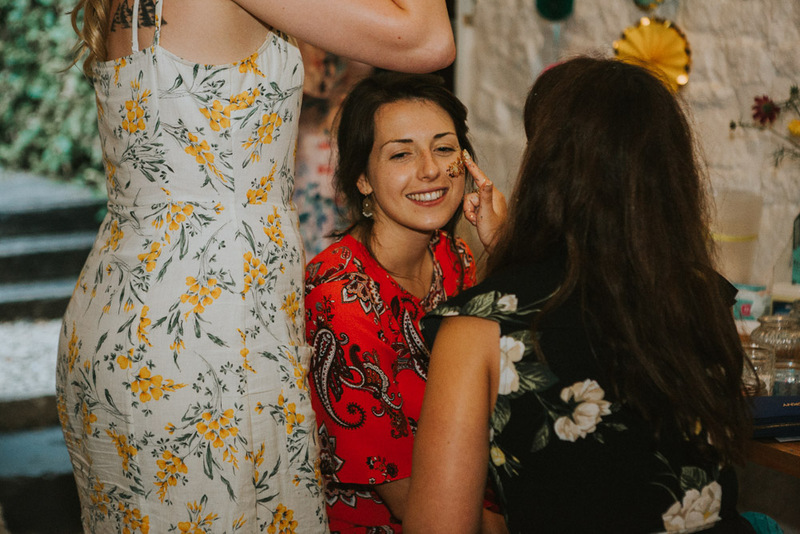 Actually who am I kidding here!? 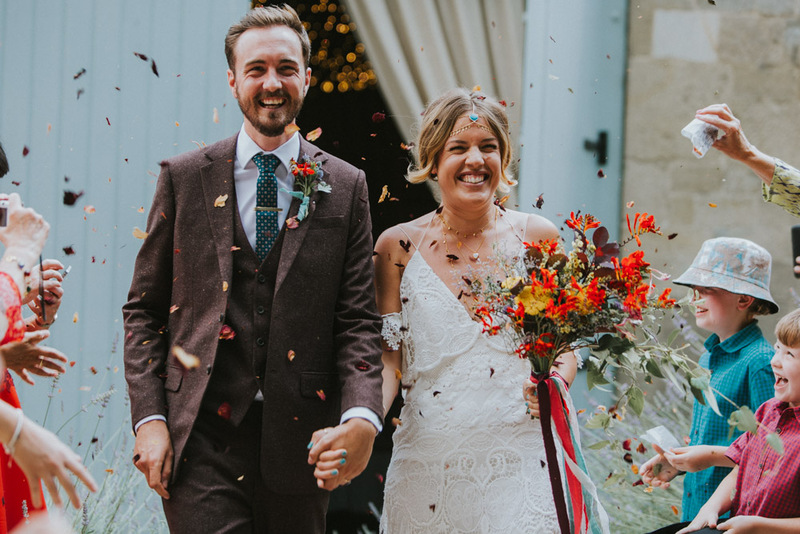 I could honestly talk and talk about one of my favourite weddings of 2018. 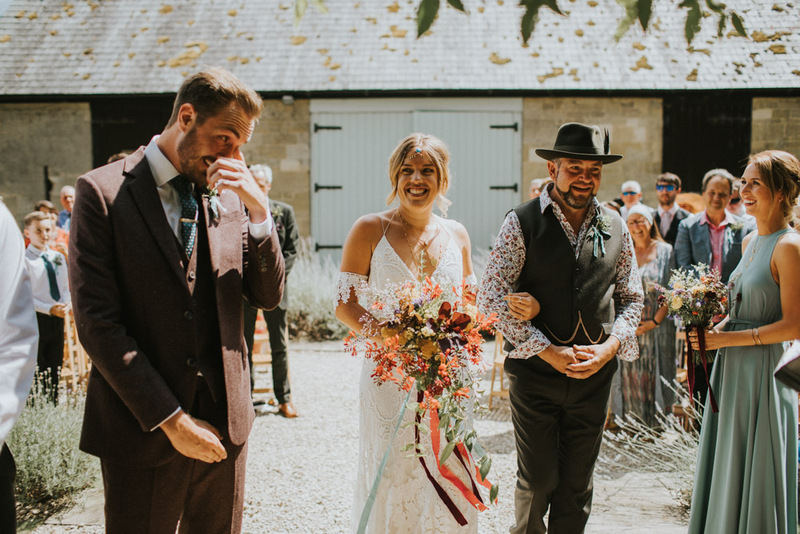 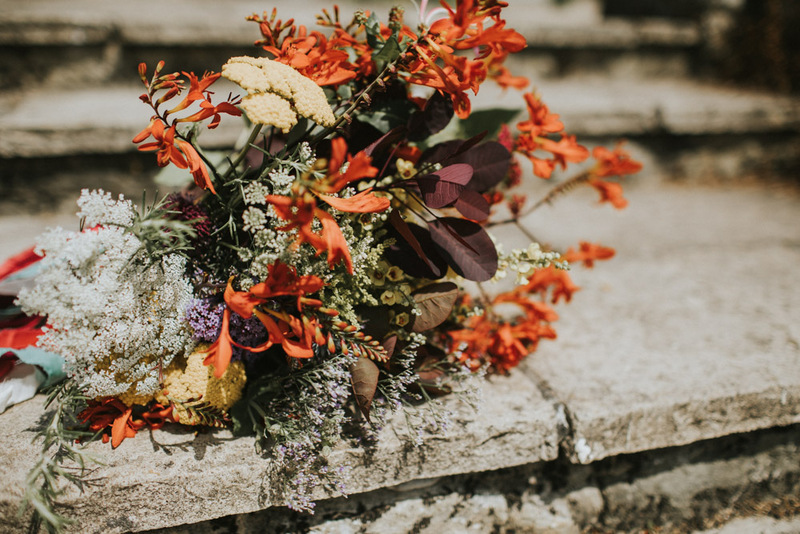 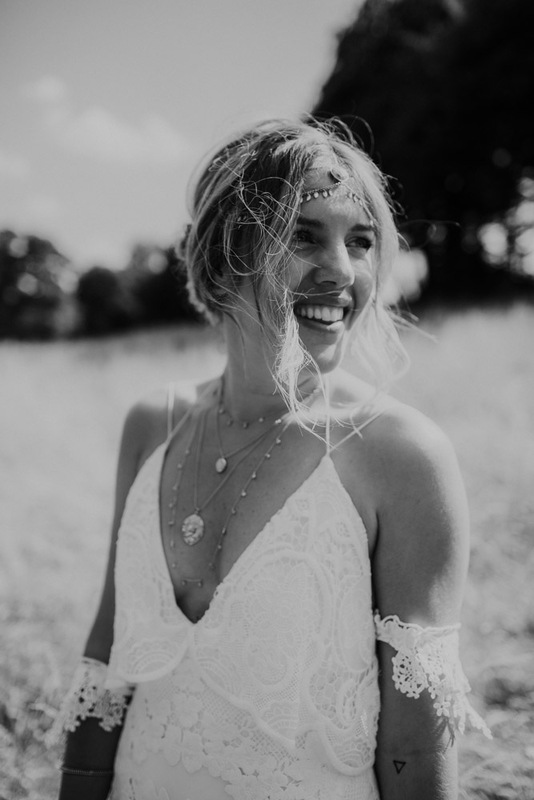 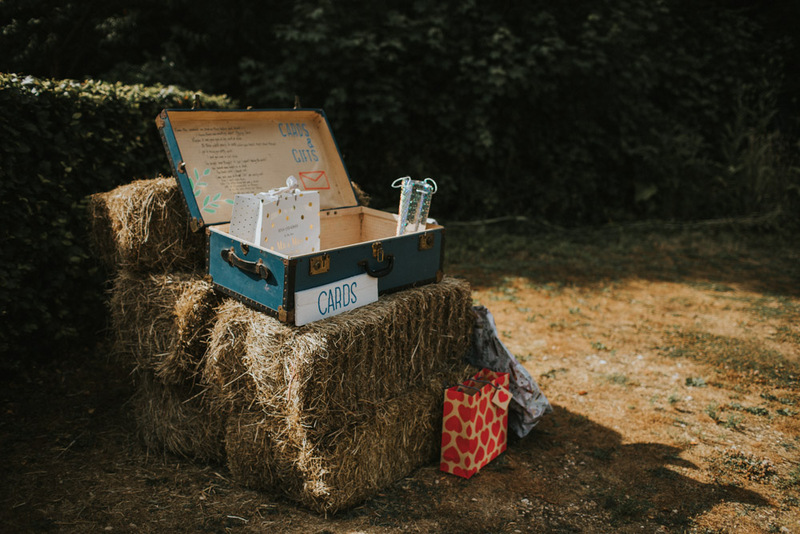 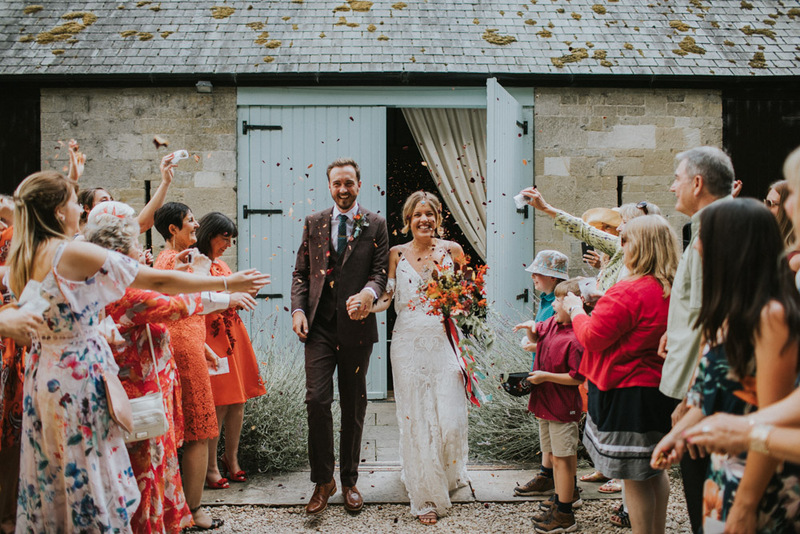 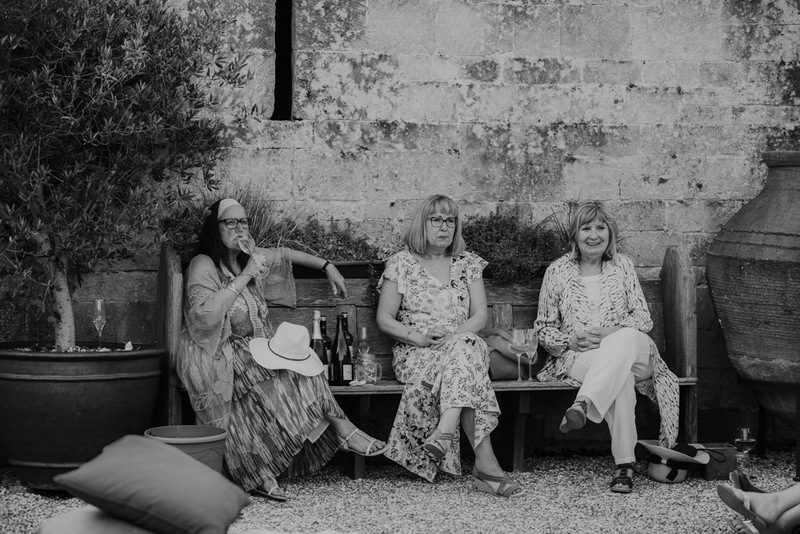 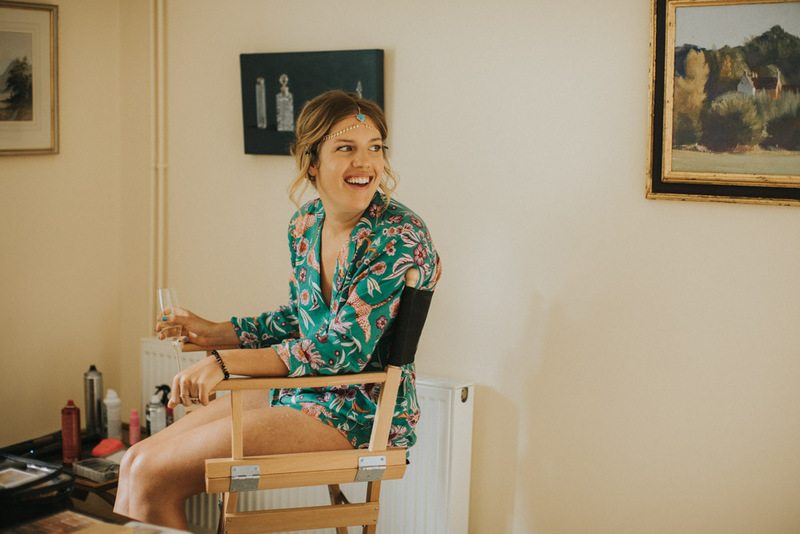 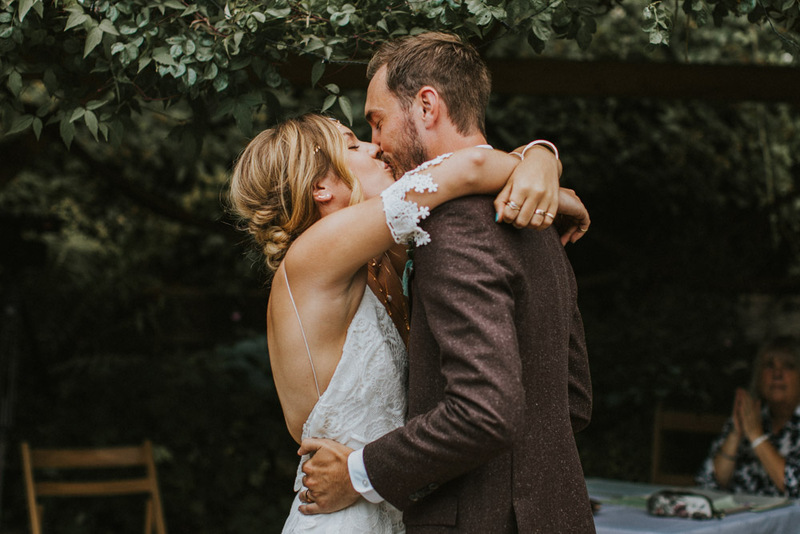 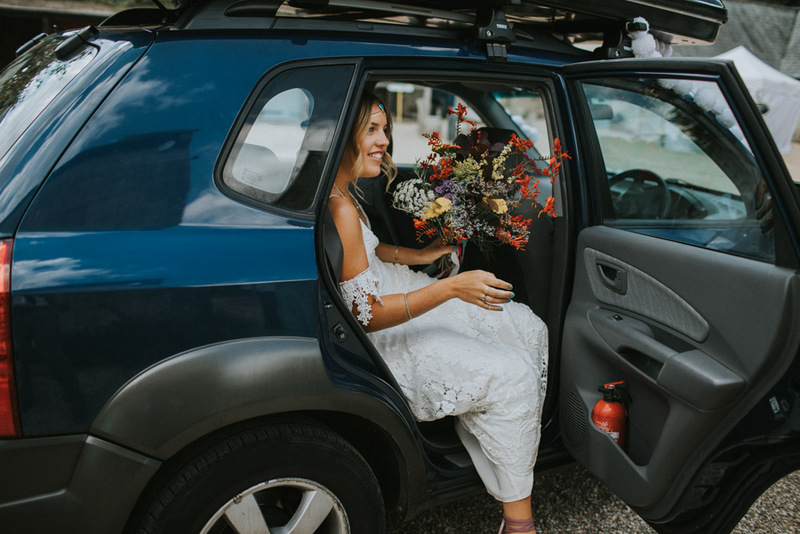 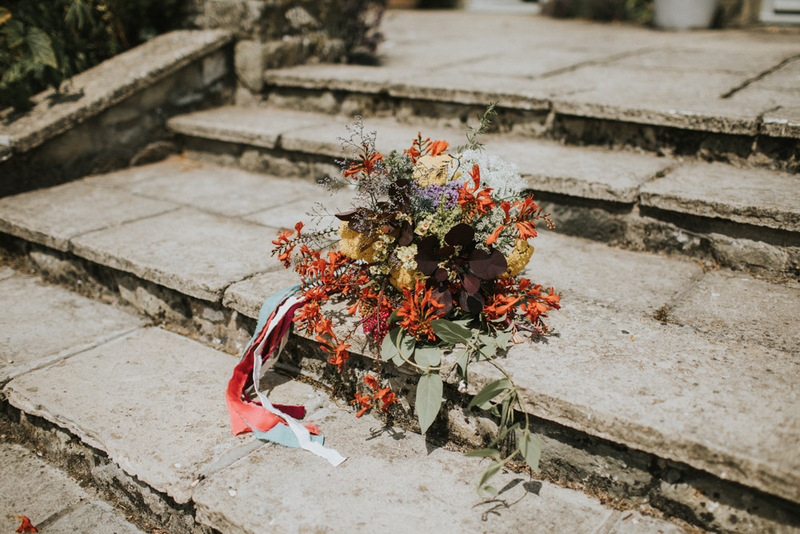 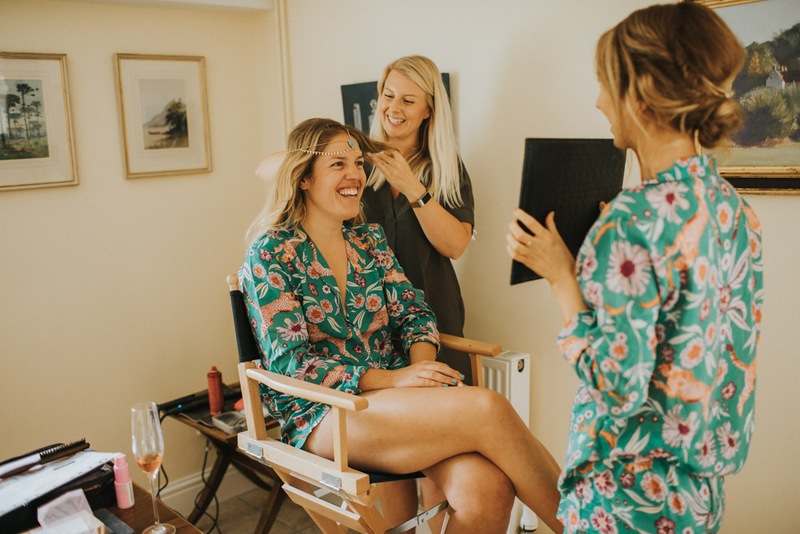 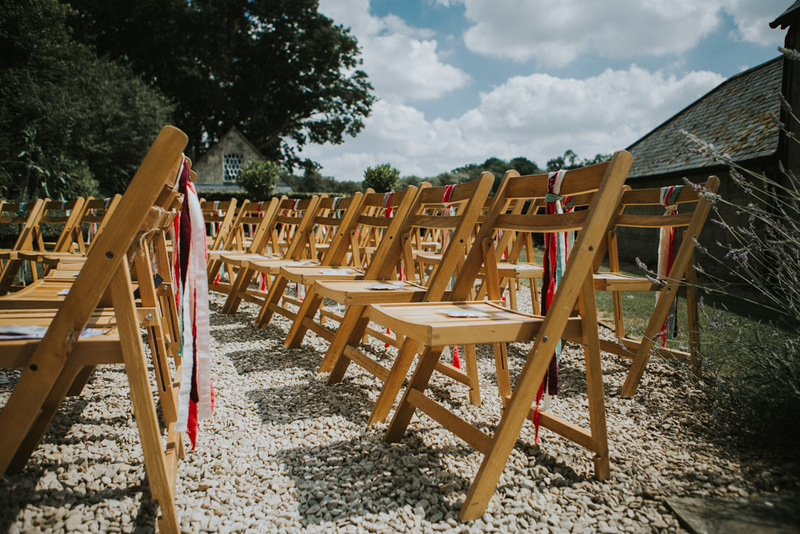 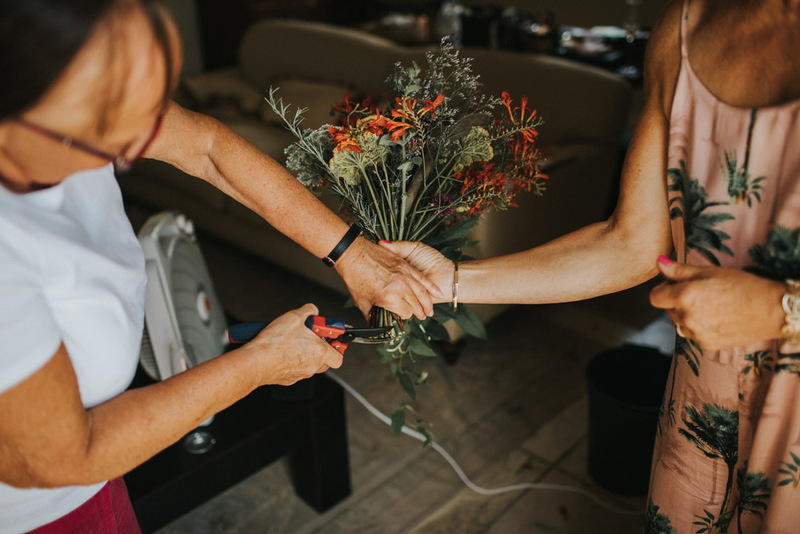 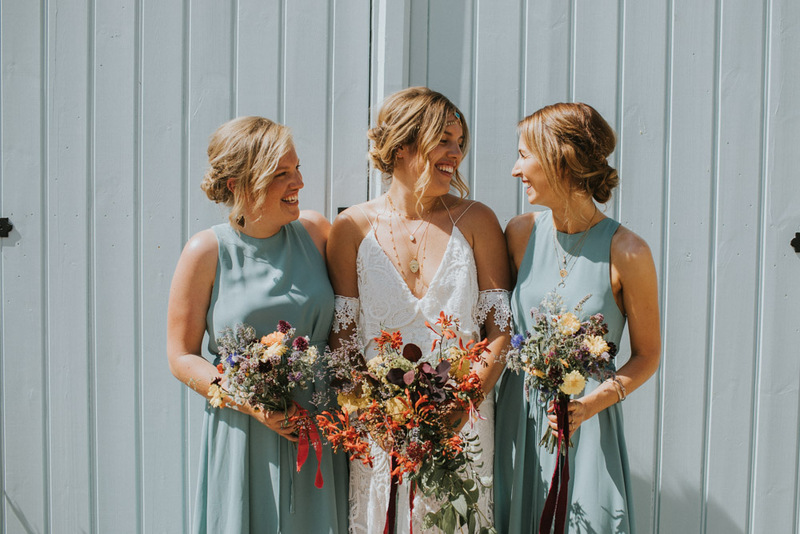 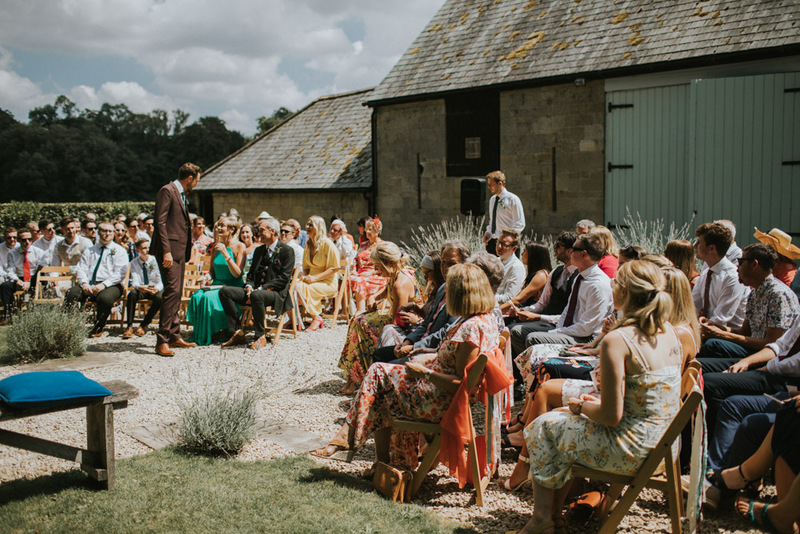 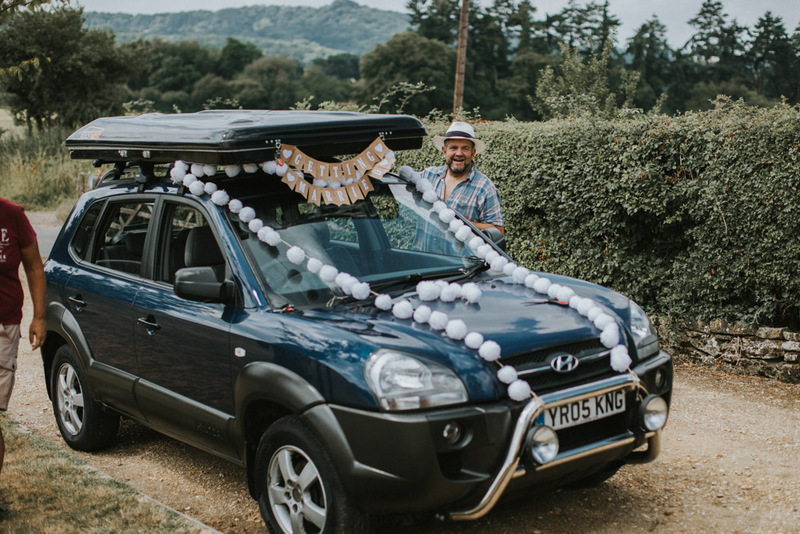 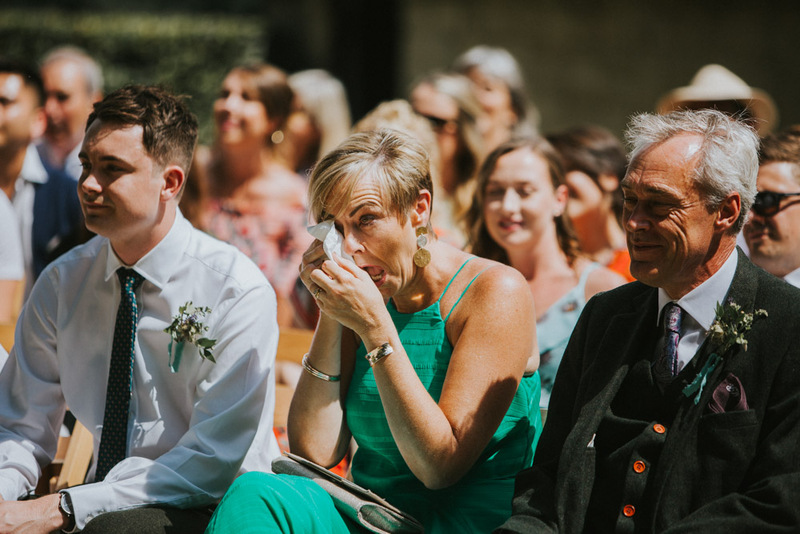 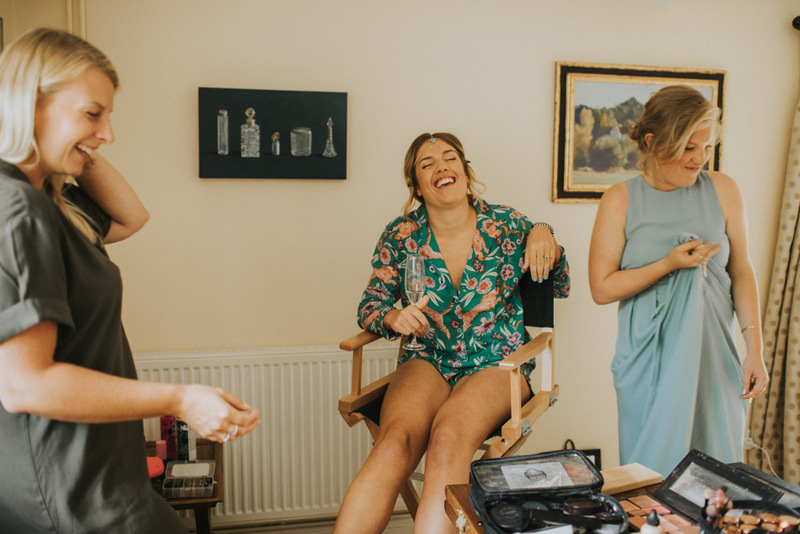 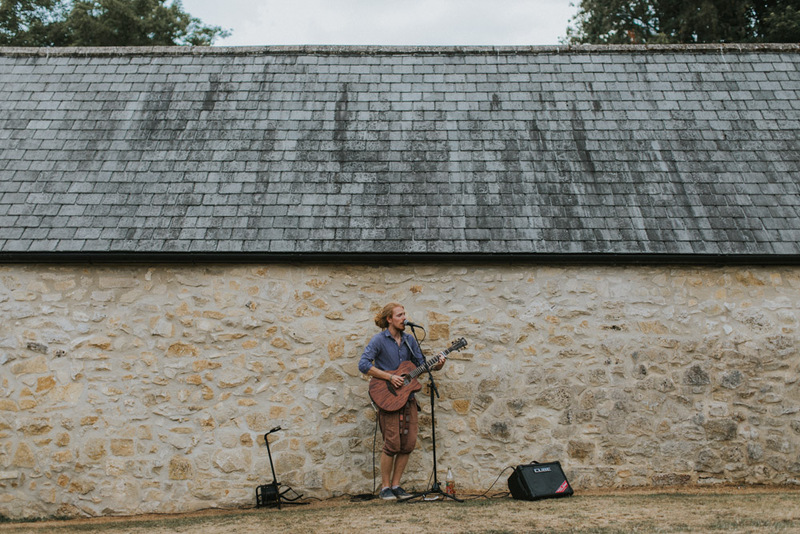 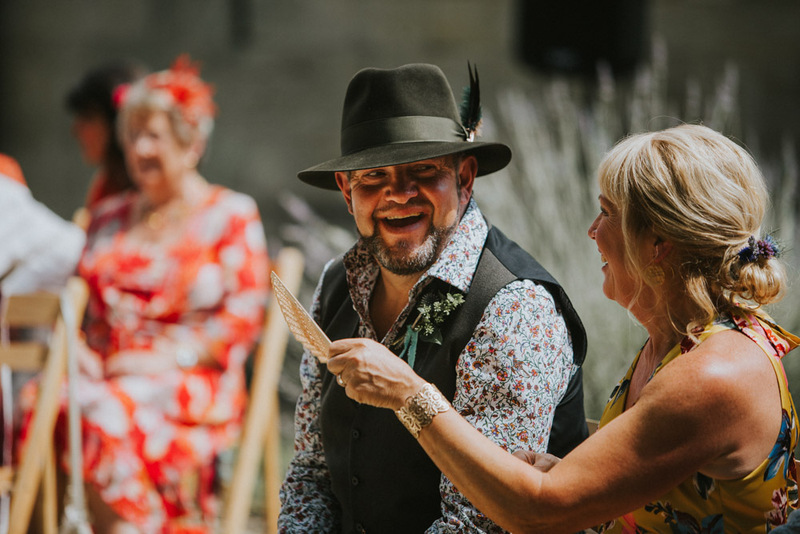 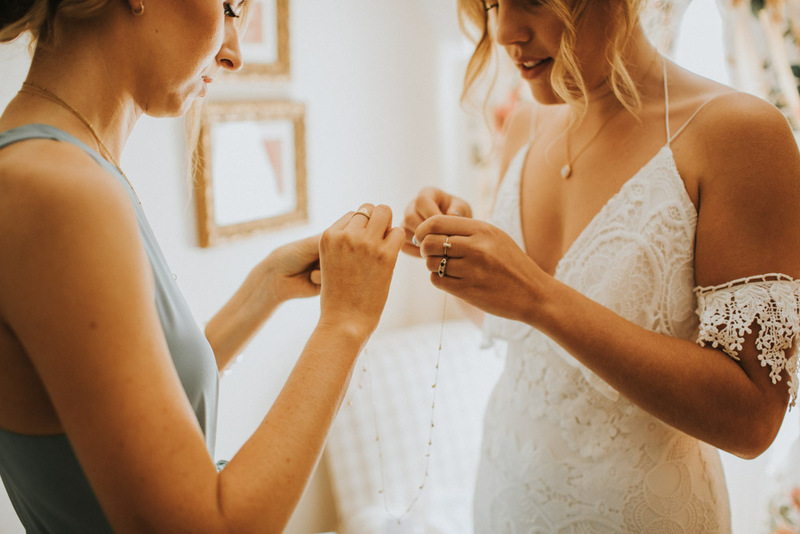 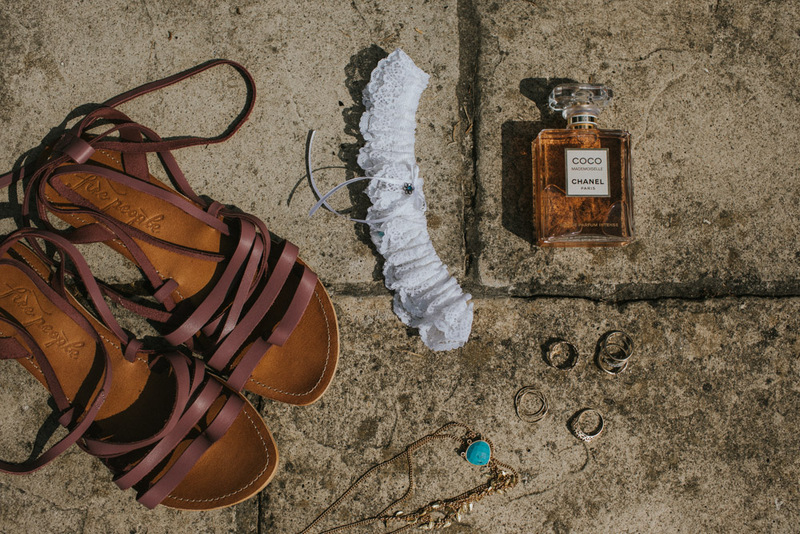 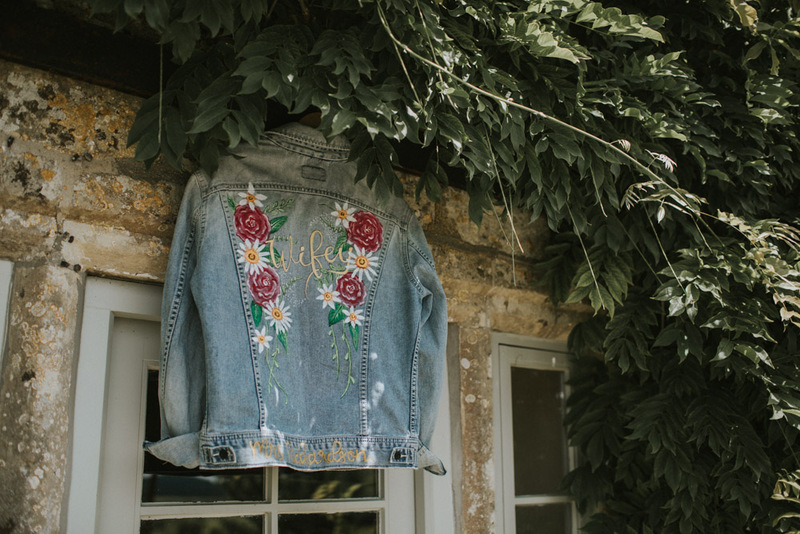 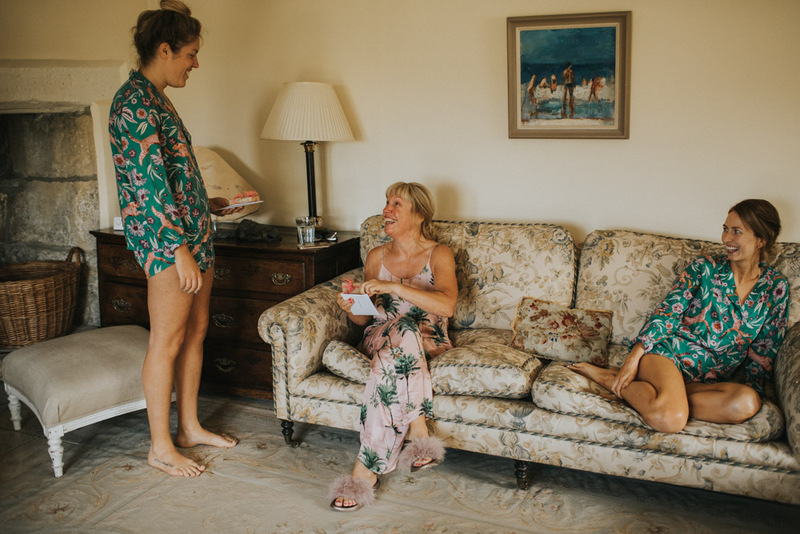 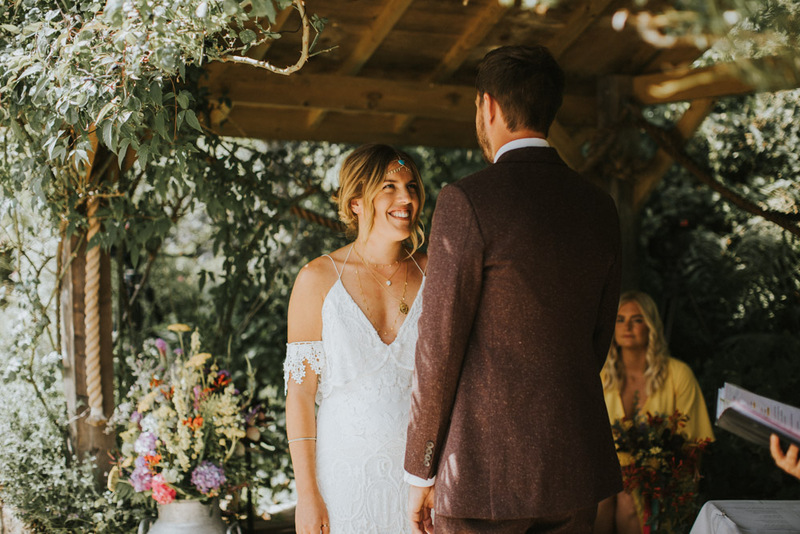 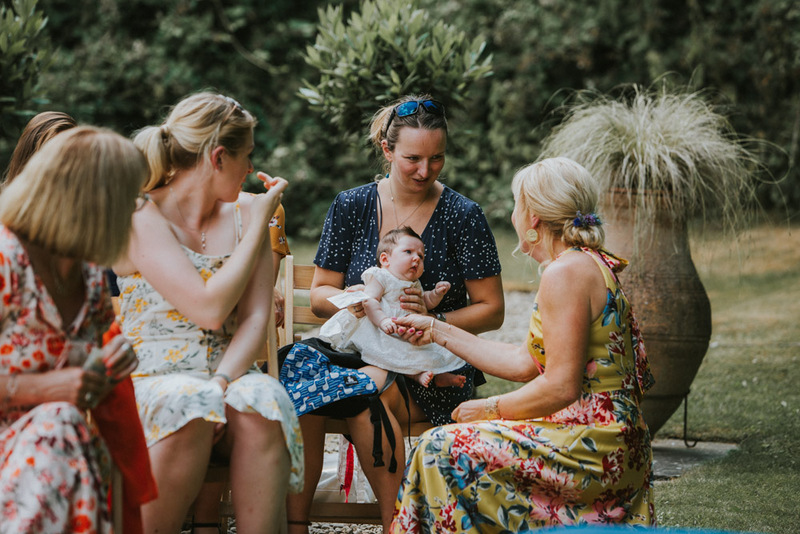 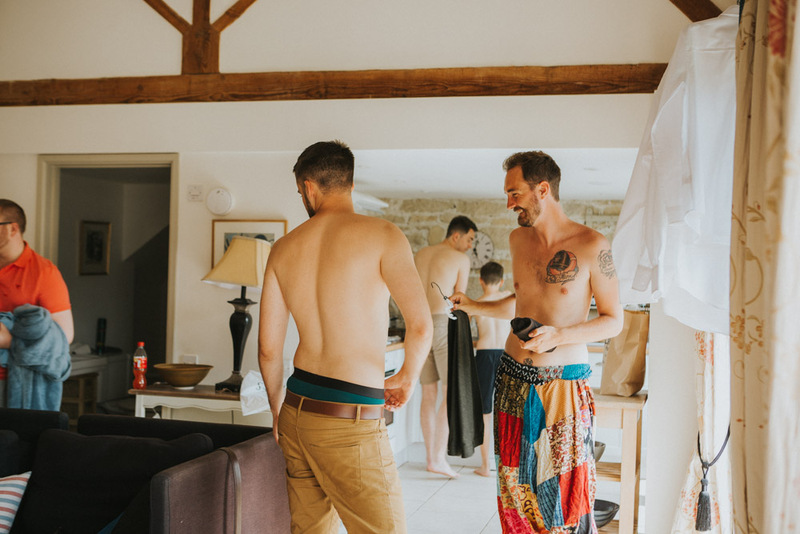 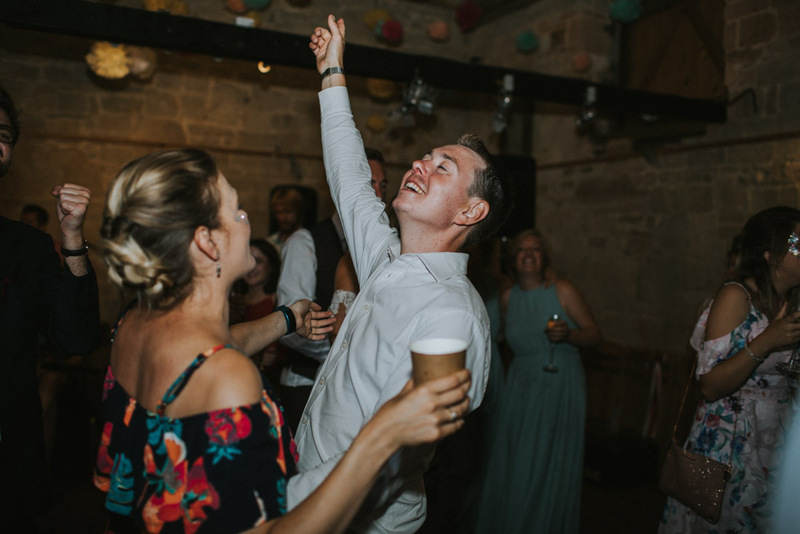 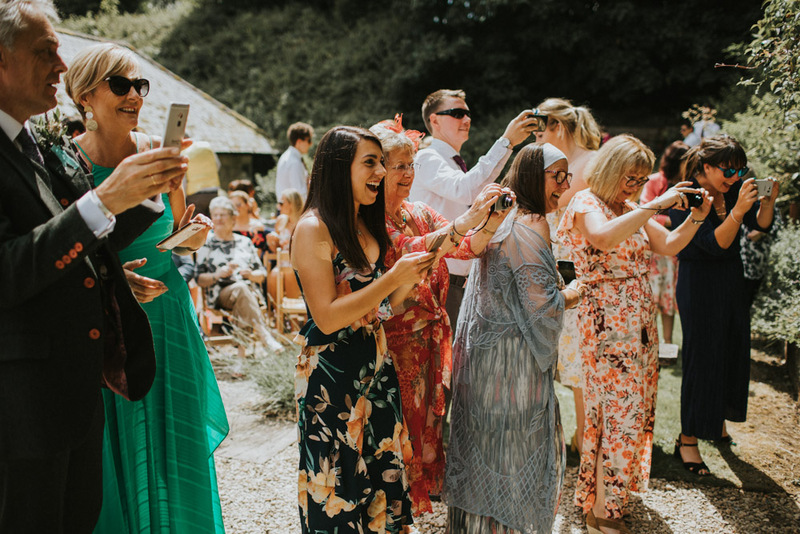 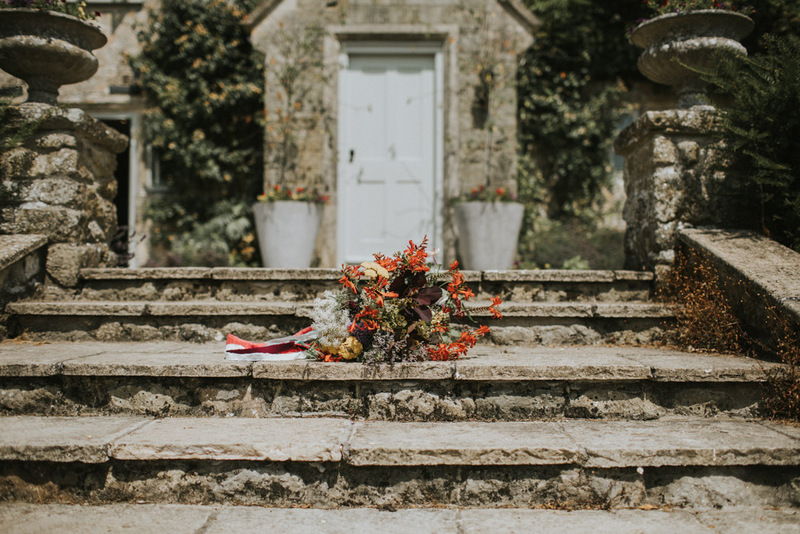 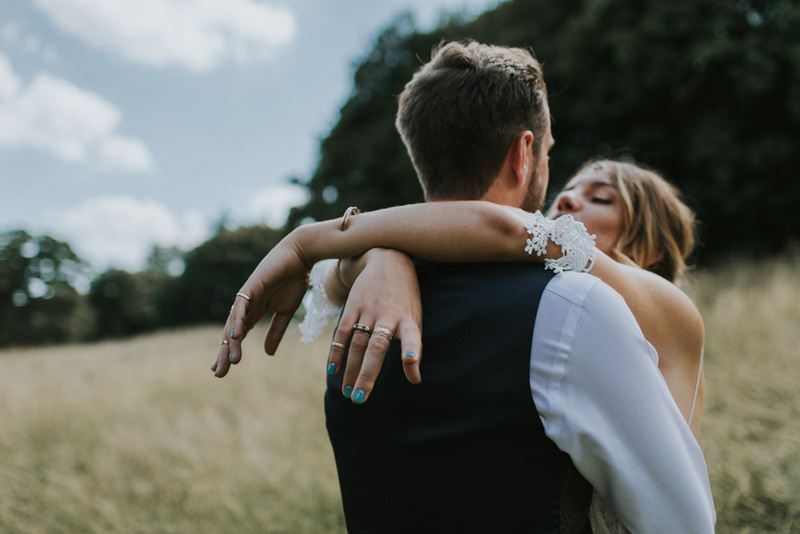 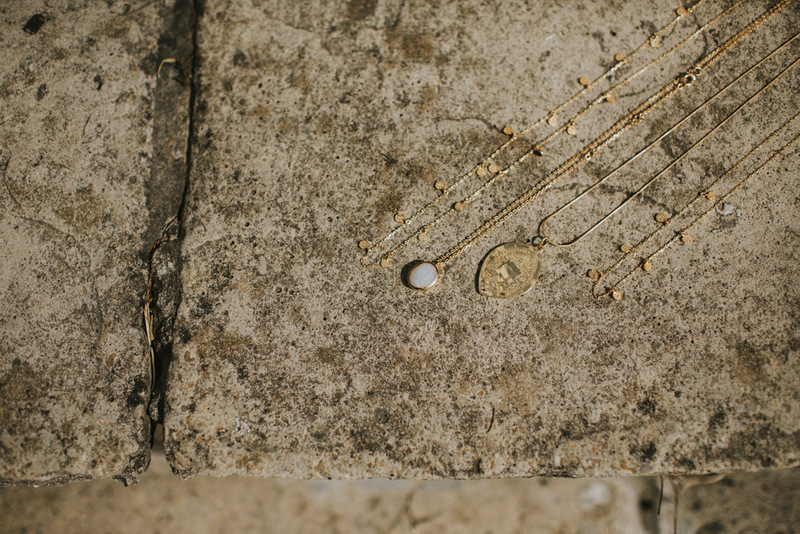 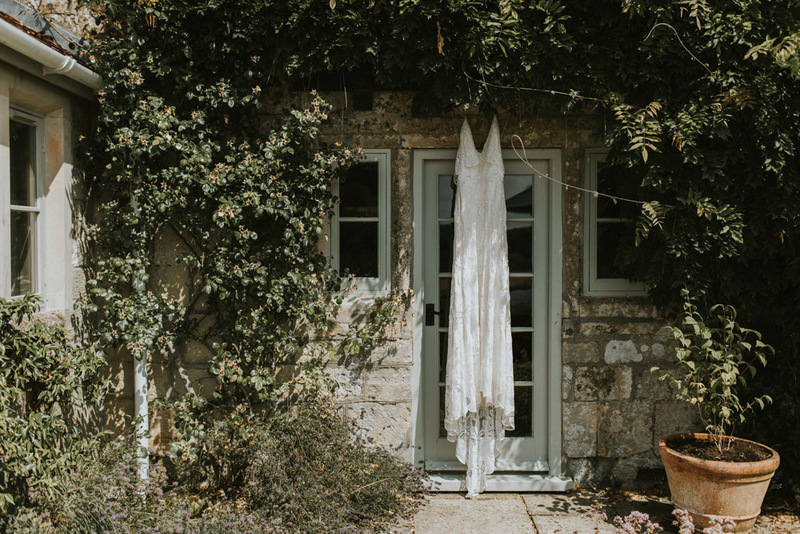 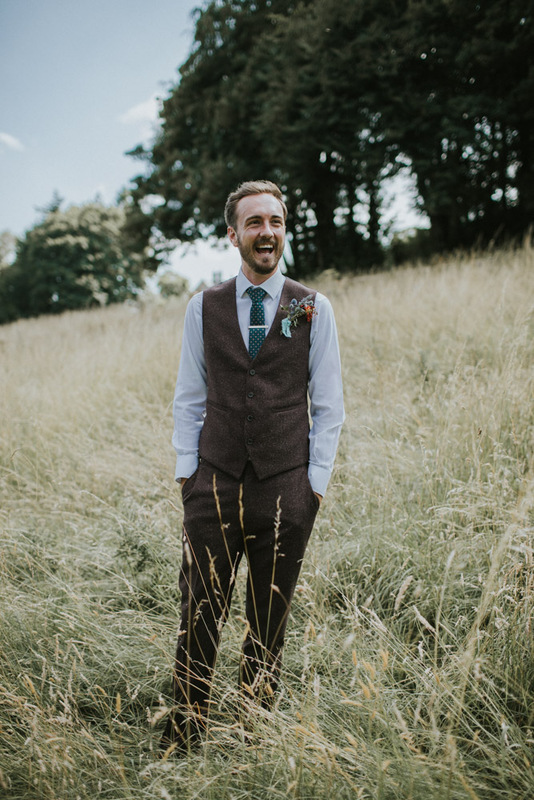 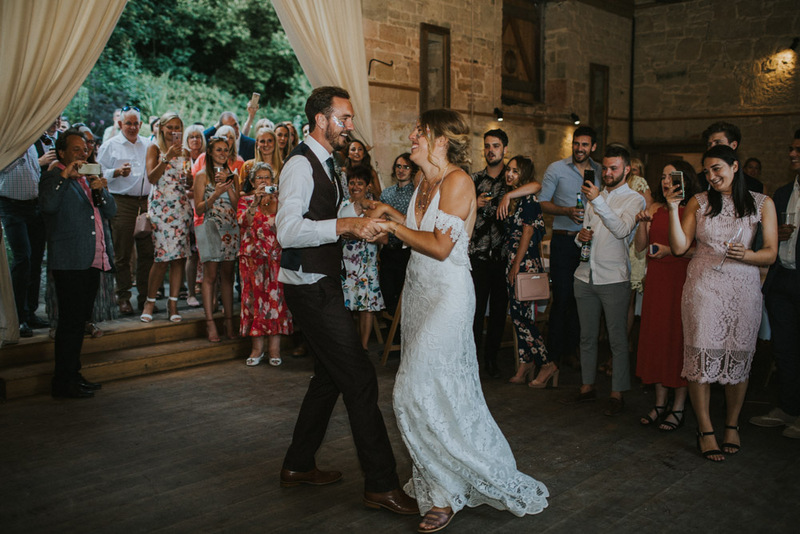 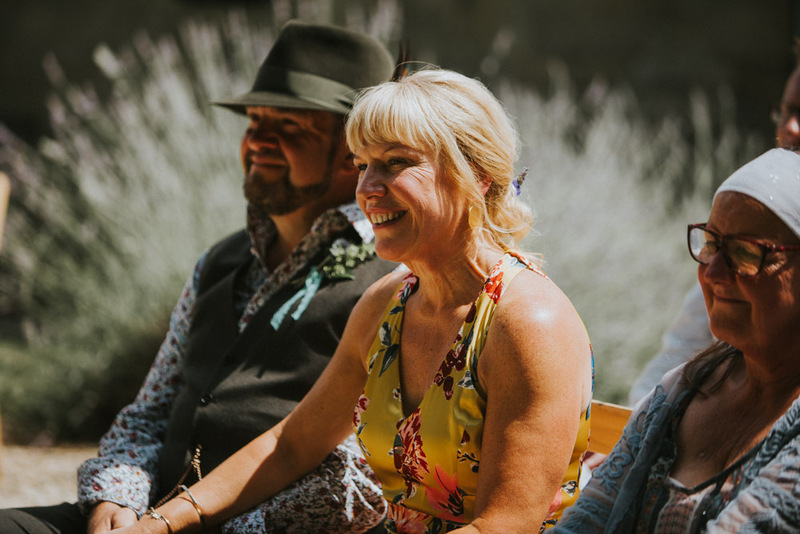 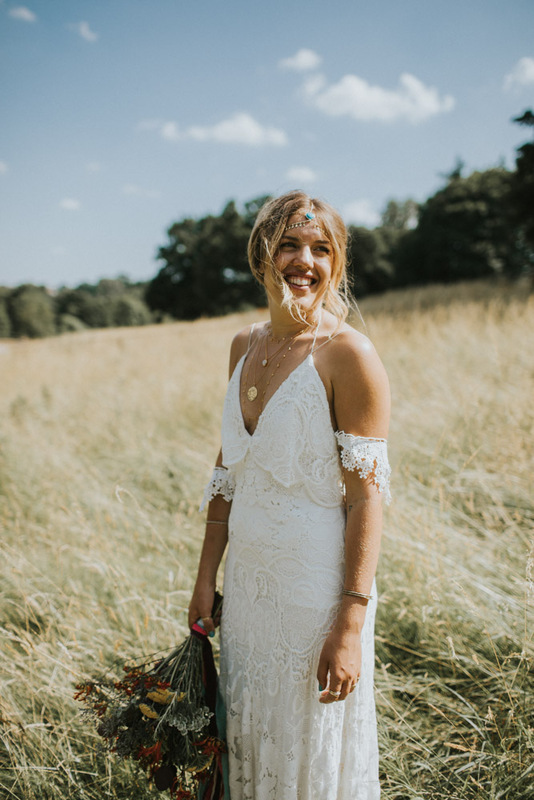 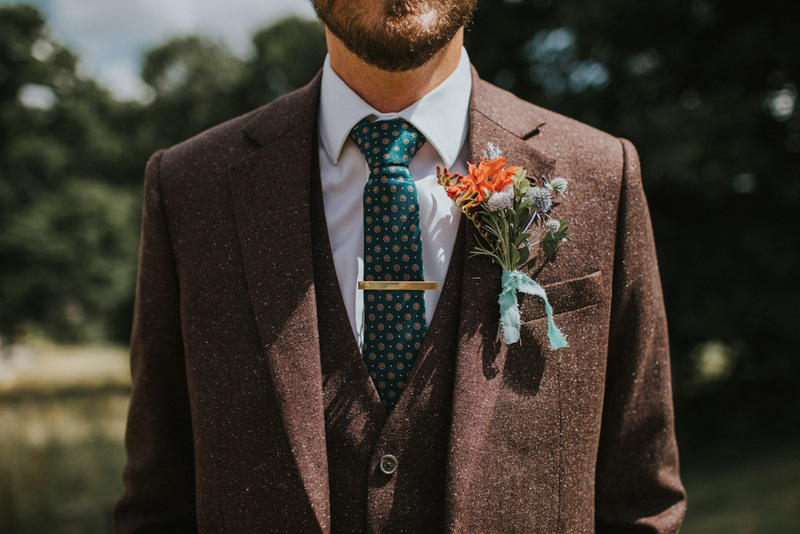 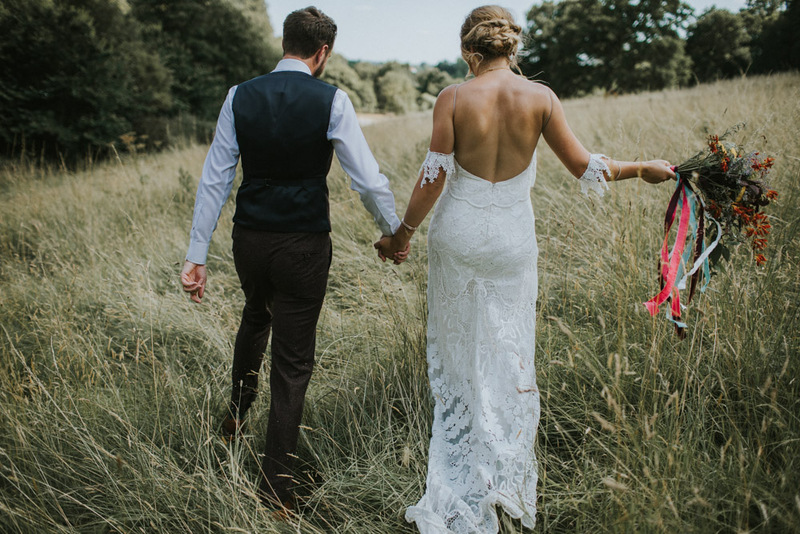 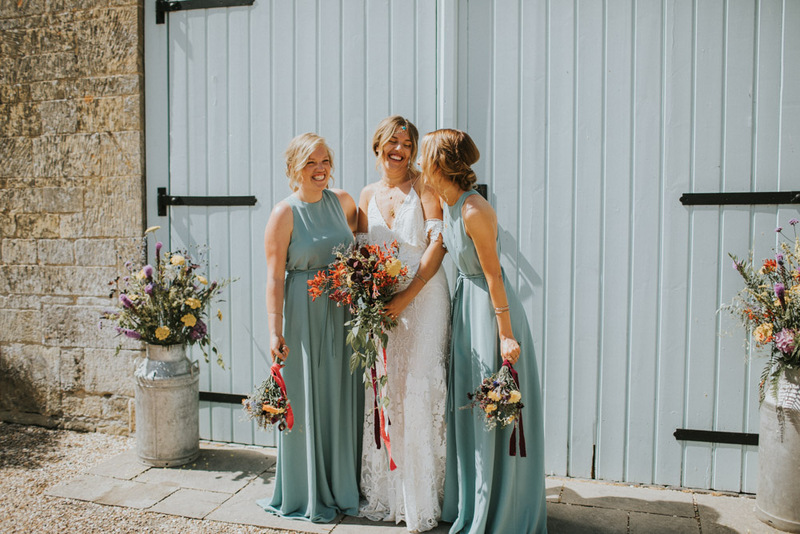 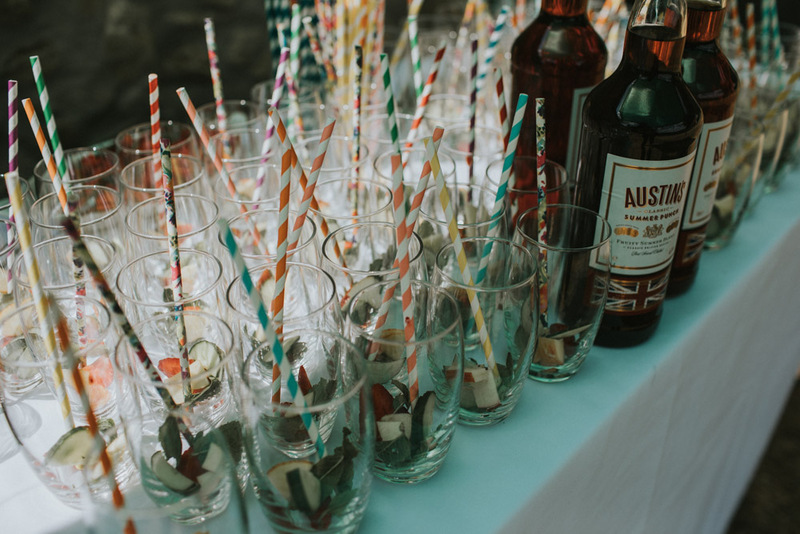 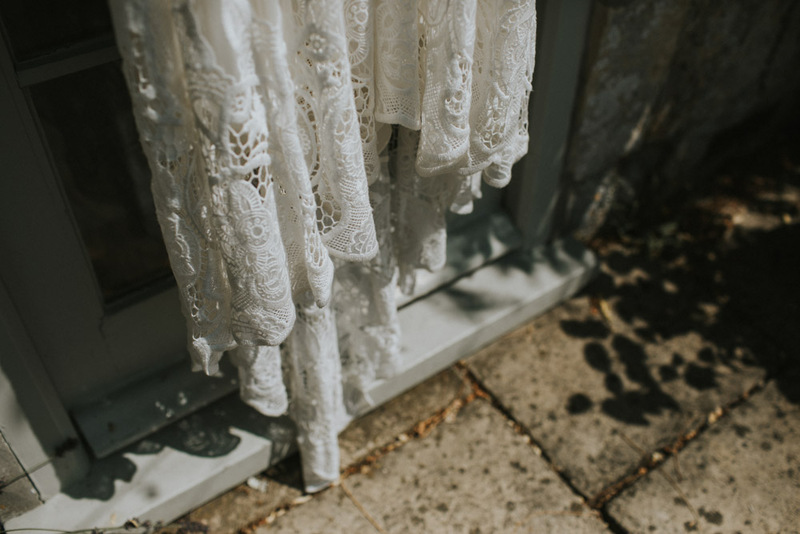 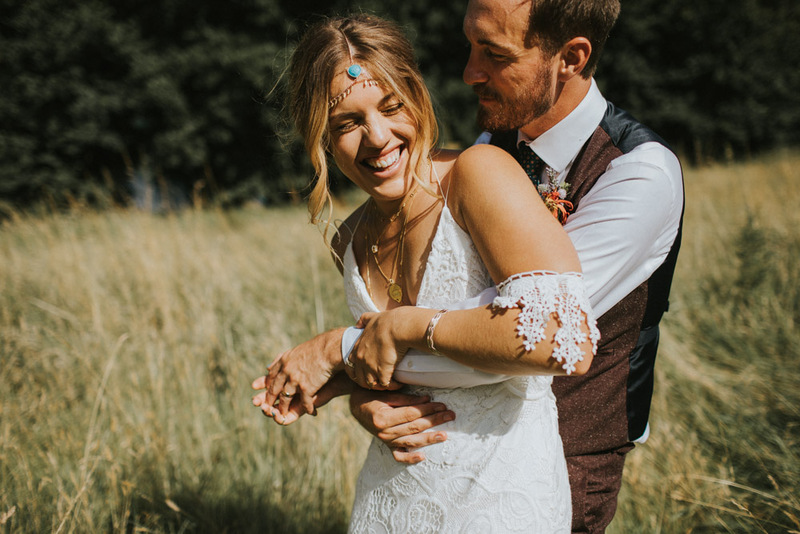 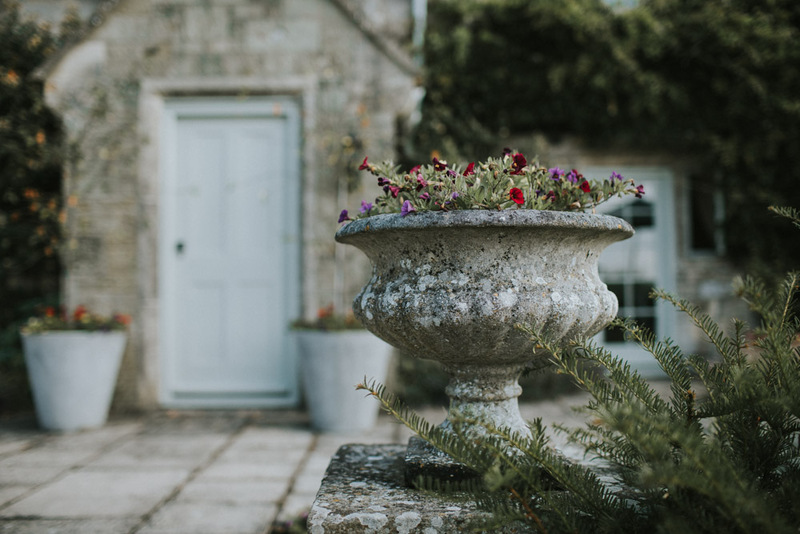 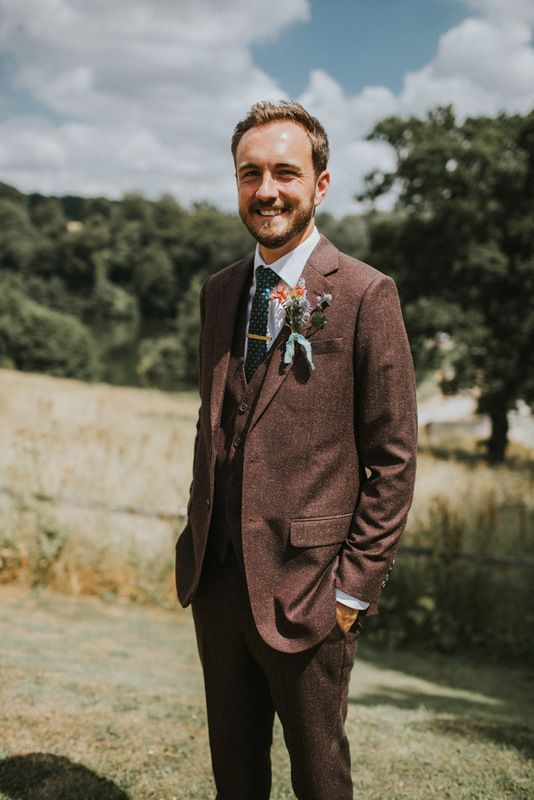 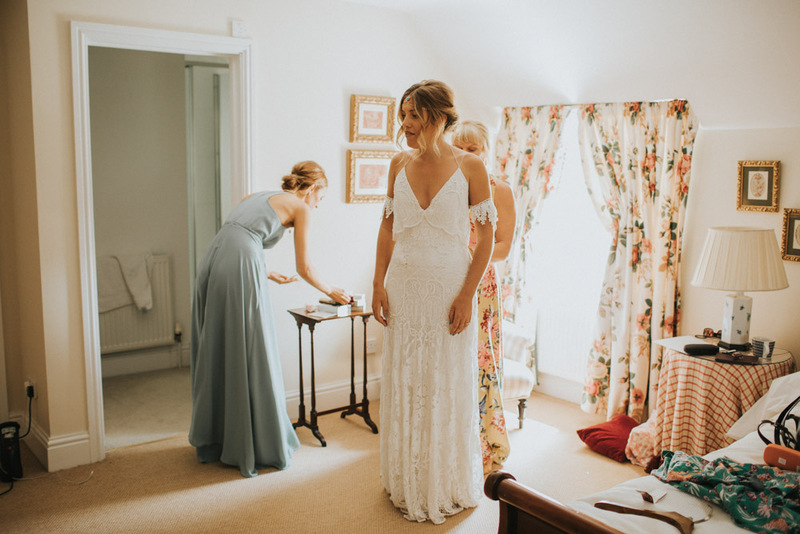 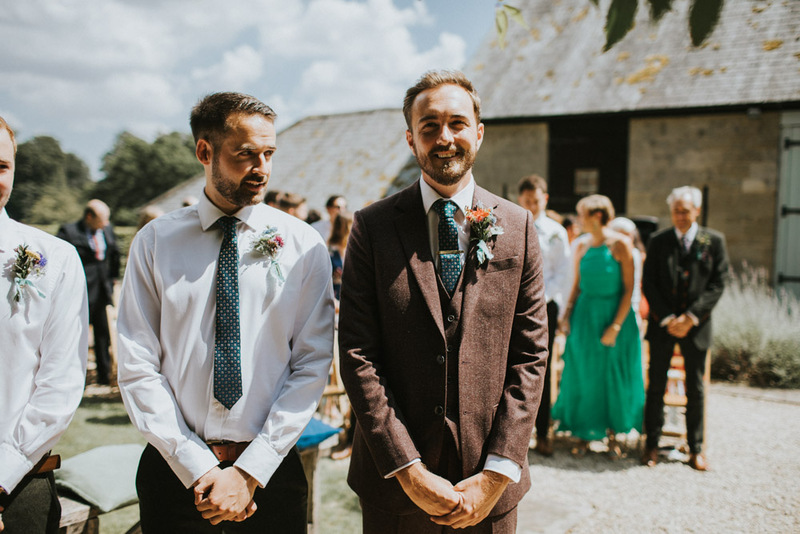 A boho wedding, in the middle of the Dorset countryside in the heart of summer, it’s a tough one to beat that’s for sure. 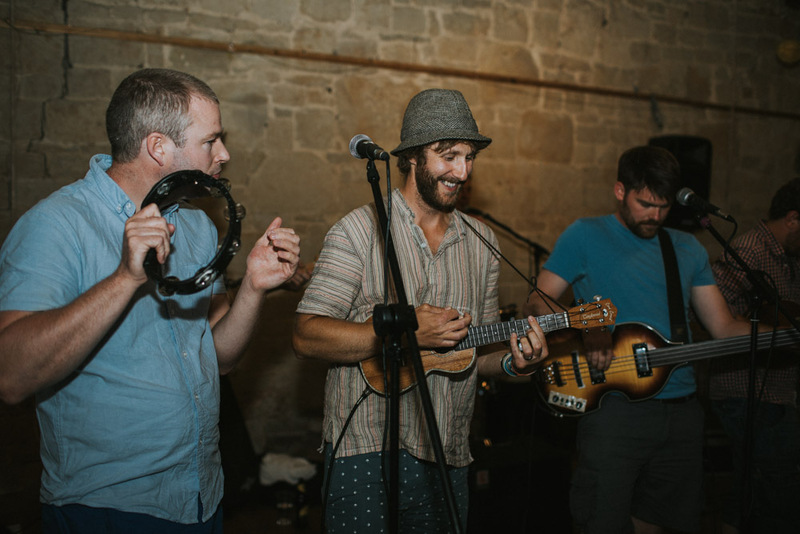 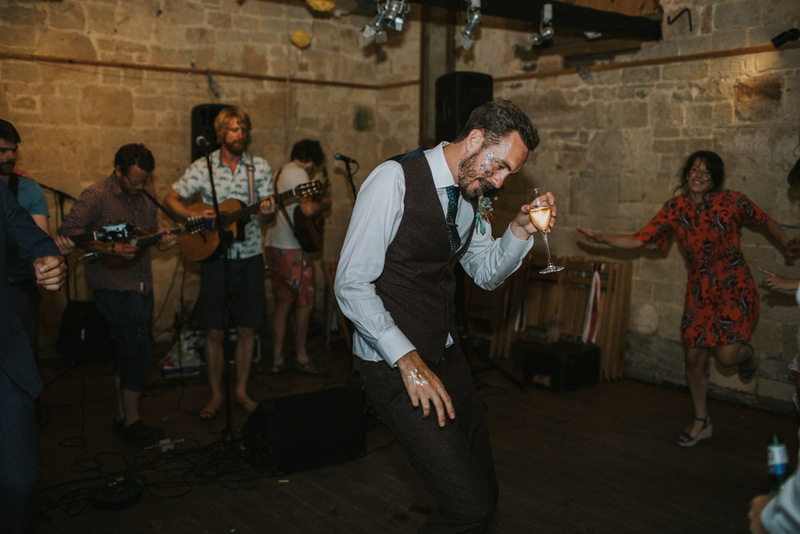 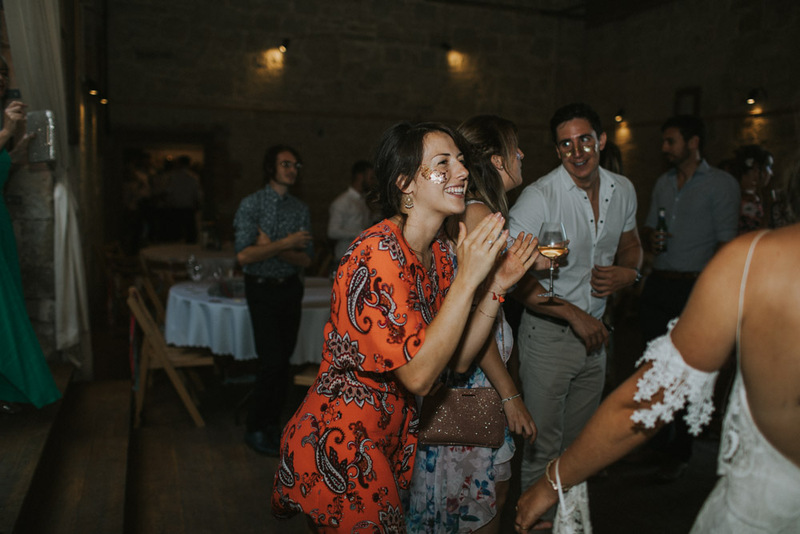 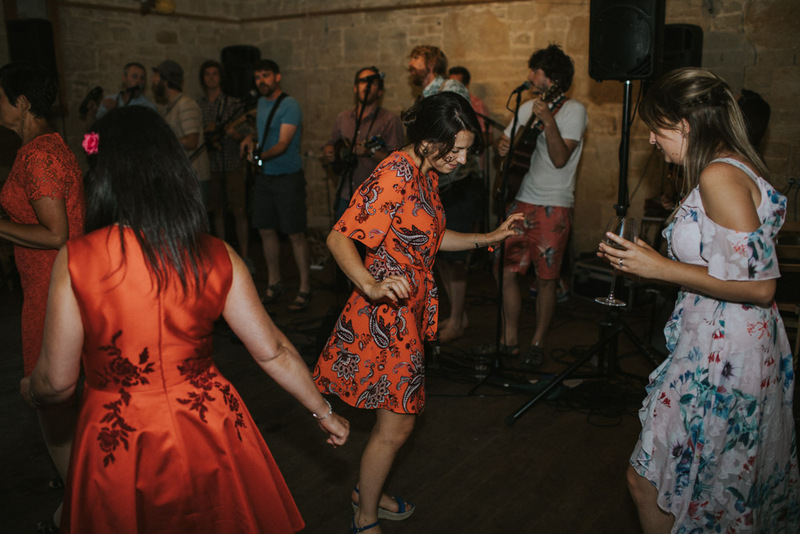 And once the camera stopped rolling, the stories of Hayley (the bride) table-top dancing late into the night, surrounded by glitter, to the incredible sounds of a 6 piece guitar folk band pretty much says it all. 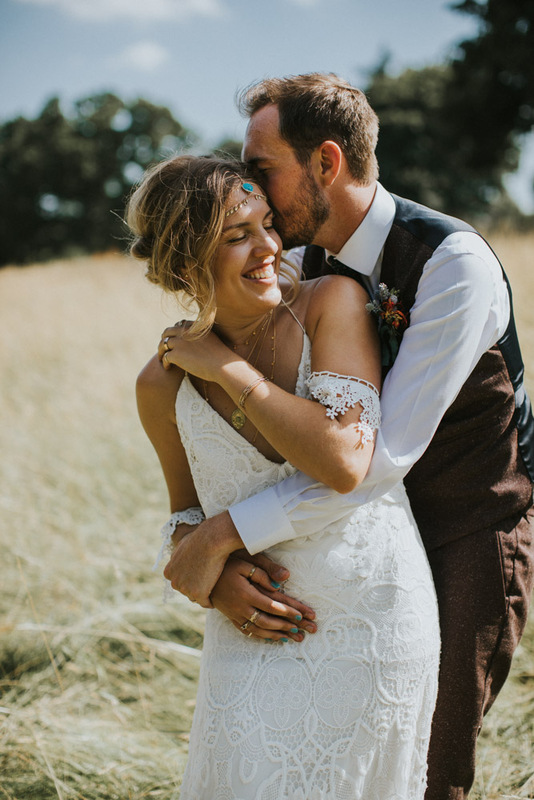 A day so perfectly put together for two awesome people!